Christ warned us about many false Christs who would appear in the last days. Therefore, we should have the ability to know and distinguish the true Christ out of many false ones. Then how can we recognize the true Christ? God gave us the Bible as a book through which we can know the Christ. The Bible contains many prophecies of Christ. And the one who fulfills all the prophecies is the true Christ who can give us salvation. The prophecies of the first coming Christ has already been fulfilled by Jesus 2000 years ago. Now we who are waiting for the second coming Christ must open the Bible to know who the Christ is. Christ Ahnshanghong fulfilled all the prophecies of the Bible. We can see Christ Ahnsahnghong in the Bible. Now let us find out some prophecies of Christ Ahnsahnghong in the Bible and its fulfillment. 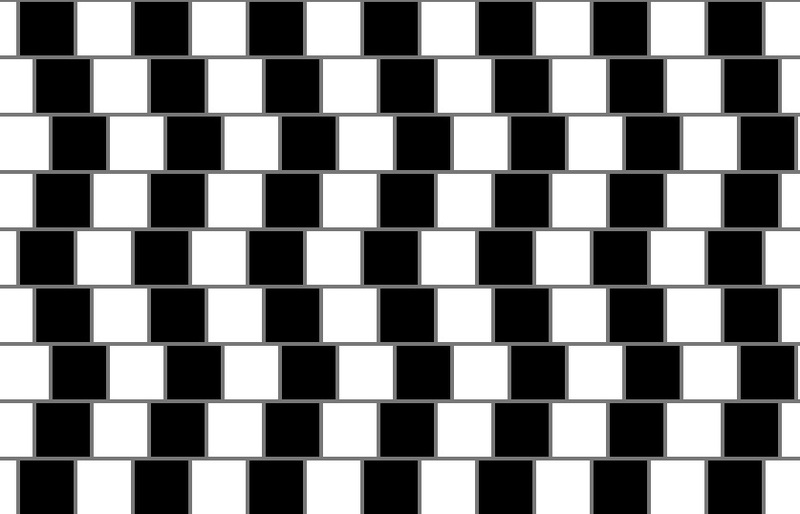 An Example of Optical Illusion: Human perception can be distorted by many different conditions. One of the examples can be found in the Cafe wall illusion. Even though all the horizontal line in this picture are parallel, they seem be at various angles with each other. Like this human cannot perceive things as they are, which means our perception is not correct at all. People tend to believe only what is visible and perceive with their sense. Most of them say that they would believe if they can see firm pieces of evidence. Or they would if they can see with their own eyes. Let us think about the existence of the “invisible world”. People don’t actually believe it for the same reason in spite of abundant evidence. Then, take for example the earth on which we stand, how many people who have seen the earth in person from outside of the earth? There would be very few people. Nevertheless, we all believe the earth is round. It is because most have seen it indirectly through satellite imagery. Or we can perceive it through scientific facts about the Universe that scientists revealed. For example, flies cannot distinguish between colors because of the structure and function of a fly’s eye. They only see in black and white. Flies would think the world through their’ limited eyes as the reality. In the eyes of flies, the colorful flowers and the blue skies only look black or white. Then, let’s suppose flies are given information about the actual colors of flowers and skies, then can the flies fully realize those color that they have never seen before? Or Can flies believe the fact that there exist more various colors as well as black and white? Probably No. The flies would deny the fact for fear that they can’t perceive those colors with their sense. Likewise, people often become complacent about the present and understand the providence of salvation being fulfilled by God according to the current situation. Isn’t that why people do not fully realize the God’s providence of salvation? Thus, God made known the God’s providence of salvation through the “prophecy of the Bible” that is a firm evidence to the God’s children who do not fully realize it. What is the meaning of the phrase, “Men spoke from God as they were carried along by the Holy Spirit”? It means that the Bible is the inspiration of God ( 2 Timothy 3:15 ) even if men(prophets) wrote it. For example, let us think about this situation: The chairman of a company ordered his secretary to deliver his important message to the staff. In this case, the person who actually acts is the secretary of the chairman. However, whose will does the secretary deliver to the staff? Is it the chairman’s? Or the secretary’s? As we can see, the secretary is just a messenger delivering the will of the chairman. Likewise, the sixty-six books of the Bible were recorded by dozens of God’s prophets moved by the Holy Spirit such as Isaiah, Jeremiah, Matthew, etc. But those who don’t believe in God do not listen to the message of God for humankind. They just regard the Bible as a history book of Israel, or as a book written by men. In this way, how can humankind move toward the way of salvation? The Bible is deeply related to our salvation, not merely the history book of Israel or the book of instruction or moral lessons. The Bible, the indispensable guide to the God’s people has an absolute prophecy. Also, the Bible plays a role as a lamp shining in the dark. When we first walked the path of faith, there is a time when we do not know which way we should go. A boat floating in a sea of darkness find the right path along the light from the lighthouse. The bible is the same to us. God was worried that we would wander and be lost. He gave His children an absolute prophecy to lead to the kingdom of heaven. Then, What is the most important prophecy in the Bible that guides us to heaven? There are a lot of prophecies in the Bible, among them, It is most important to know “Savior” the Christ. Because the fundamental purpose of the Bible is to let us know the Savior. So the Bible precisely describes and prophesies Jesus, the Savior who is to come (Isaiah 53:1, 7:14, Micah 5:2, Isaiah 9:1) and we can find the scenes described like a painting from His birth to death in the Bible. There are many prophecies in the Bible to let us know about the Second Coming of Jesus, such as the last Adam, the King David and the Order of Melchizedek and furthermore. If we take a look at those prophecies, we can also find one truth of life that each prophecy has in common. Without the New Covenant Passover which is the truth of life, no one can receive salvation. Thus in the last days, Jesus appeared as a man in the flesh “for the second time” as recorded in the Bible(Hebrew 9:28). And he restored the New Covenant Passover that He had established 2000 years ago. The one who has done all these is no other than Christ Ahnsahnghong. Christ Ahnsahnghong fulfilled all the prophecies of prophets regarding the Second Coming Christ as recorded in the Bible and preached the New Covenant Passover, namely, He restored the truth of life. But ironically, Although God himself, who is originally spirit, appeared as a man to us. However, people who are willing to believe what is visible do not recognize Him as God because they neither know nor believe the prophecy of the Bible. In other words, they are spiritually blind. How unfortunate is it for them? Christ Ahnsahnghong in the bible. We can know the true identity of Christ Ahnsahnghong only through the prophecies of the bible. Think about the prophets and the saints 2000 years ago. They didn’t treat the prophecy of the Bible Think about the prophets and the saints 2000 years ago. They didn’t treat the prophecy of the Bible with contempt. As a result, they could receive Jesus, God in the flesh. Then where do you think they might be now? How about the religious leaders who ridiculed, persecuted and put Jesus on the cross 2000 years ago? They claimed that they knew well about God and the Bible. In fact, they didn’t. They just understood God from their own imaginations, not from the Bible. Because of their prejudice, they failed to receive God in the flesh who the Bible testified about. Where do you think they might be now? We all know the answer already. Therefore, we must learn lessons from the past mistakes and keep in mind because what happened in the past is a shadow to teach us. The history of the Early Church repeats in our time as the Bible says. Most people today also have difficulty in recognizing Christ Ahnsahnghong. They do not know the Second Coming Christ. Nor do they receive Him just because He came to this earth as a man in the flesh. But we must not forget that Almighty God can appear in any form. Therefore, we should fully realize about the Christ by studying the relation between the prophecy and its fulfillment through the Bible. There are many prophecies about the Second Coming Christ Ahnsahnghong in the Bible as well as the First Coming Christ. We can find out pieces of evidence about Christ Ahnsahnghong in the Bible. Through the evidence, we can know Christ Ahnsahnghong in the Bible even though he came as a man in the flesh. Accordingly, we all must receive the Second Coming Christ, Ahnsahnghong who came in the flesh. Then we can be the children of God who can enter the eternal kingdom of heaven. Now God comforts the saints of the Early Church who received the first coming Jesus 2000 years ago in heaven. Therefore, it is essential for us to know the Second Coming Christ. The first step to finding Him is in the prophecies of the Bible. He is right there. This entry was posted in Christ Ahnsahnghong, the True Prophet and tagged Christ Ahnsahnghong in the bible, Christ and the bible, Prophecies and fulfillment. Bookmark the permalink. ← Spiritual Age of the Present Time? We can exactly know and believe the prophecies of the Second Coming Christ through the Bible, and it was fulfilled by Christ Ahnsahnghong who restored the New Covenant Passover for our Salvation. That’s really right. Even if it is too unbelievable thing, when we come to see all the truth in the bible. we need to acknowledge of it. We are not God or Savior for our souls. We need to meet God. For us in this last age. so you believe Ahnsahnghong is God? it’s unbilevable you came to believe it. We are to be led by the Holy Spirit, not by theories of men in studying the Bible. If the theories of men you said would all be in the bible, they can you say that they are just thoughts of men? So, please find out an answers from the bible before you just decide what is right and wrong. That is true. I could realize through the bible that Christ Ahnsahnghong is the true second coming Christ who was to come. How can you exactly realize God? God wrote about Him in the Bible. So 2,000 years ago, Jesus Christ testified about Him who is savior through the Bible. Like this, Second Coming Christ Ahnshanghong also testified about Himself through the prophecies of the Bible. And He fulfilled it because He is savior, our God, in this age. I’ve heard this church’s doctrines few years ago, It was kind of interesting…coz I want to know things in many different ways. their teachings make sense, but some part are not in my opinion. next time, if i have a chance to meet them, I might be able to distinguish. @Annie, Hello, U should visit the Church of God in person, i am sure wherever u r, u can find one! cuz now Its eight thousands local churches are located all over the world. God Bless U. If Jesus would have come as the form of 2000 years ago, He could explain and make us believe easily but when Jesus has come to this world, we our human namely God’s children didn’t accept Him as God, a few people only. Now is the same situation. it says the words are God is written in parables so we should realize the hidden meanings inside. we should mind that the only One who could fulfill those prophecies should be very God Himself. That is true. The one who can fulfill all the prophecies of the bible is only Christ himself. Therefore, I believe that Christ Ahnsahnghong is God who came in the flesh for the second time to give us salvation. That’s is why the Bible says that only the Root of David can unseal the Bible( Rev 5:5) and interpret it. (Rev22:16) and He is the only one who can interpret the Bible! He is none other than Christ Ahnsahnghong ! Yes. We cannot realize God for ourselves. Only God testifies Himself to his people through the Bible. Do U believe the Bible? And do U believe Jesus Christ? How can U believe Him? I believe in Jesus our Lord through the Bible! We believe in Jesus since He fulfilled all the prophecy of Christ’s first Coming, Likewise we must also believe in Christ Ahnsahnghong whose name is the new name of Jesus (Rev 3:12) since He fulfilled all the prophecies of Jesus’ second coming.Without studying all the prophecies connected between first and second coming, u can never know. So why dont u try to study with the Church of God if it is true or not? Amen. Christ Ahnsahnghong is the true Second Coming Christ testified in the bible. Only bible tells you the truth but you need to open your spiritual eye and heart. Because I also believe the bible is fact. The bible tells us we have to believe Jesus who come to this earth in the 2nd time for us. Hi, Cathy. Are u asking that how we can believe Christ Ahnsahnghong ? We can’t help but believe Him since He fulfilled all the prophecies of the Bible. Actually, He used to be Jehovah in the age of Father God and Jesus in the age of Son. Christ Ahnsahnghong is the name of the Holy Spirit. Plz just check all about Him thru the Bible. As you said so, How can we believe Him as God? It looks like you have great faith in the bible. Then you can believe in Christ Ahnsahnhong, since the bible foretold through many prophecies that God would come to the earth a second time and Christ Ahnsahnghong fulfilled all of them. Nevertheless you would say that you can’t, then you don’t believe the bible at all. I do believe in Jesus Christ, since I was been convinced thru the Bible. so It is easy to understand and accept Christ Ahnsahnghong whom the bible testifies about. @ Lee Eugine, Hi 🙂 U r asking how we can believe Him as God ? We believe in Christ Ahnsahnghong as how we believed in Jesus as God. It is thru the prophecies of the Bible. We cannot believe in a man but God can come to this earth in a human form. The words of God testifiy that God should appear in flesh in order to save us in this last age. our belief should be based on the words of God for sure. I go to Church and I ask myself the same question some times..
@ Holly God Bless u, That’s right. Man can’t become God, but God can become a human. Actually we, members of the Church of God believe in God Ahnsahnghong who came to this world in the flesh, not a mere man. We believe in Christ Ahnsahnghong for what He fulfilled. Christ Ahnsahnghong is the only one in the world who brought back the new covenant Passover that had abolished for 16000 yrs. If we believe in the bible, we cannot help but believe in Christ Ahnsahnghong. He fulfilled all the prophecies of the bible. The bible is fact so we can understand him recorded in the book. I also can not believe that you can not believe christ ahn shang hong. There are so many evidences that ahn shang hong is our 2nd coming christ. Why is so hard? Please study the bible with open your heart. Amen. He fulfilled all the prophecies of the bible. He IS the second coming Christ. And I have no doubt about it. If there are many evidences, though it is hard to believe we should believe it. and take it as my stories in Heaven. Youki~ If you belive the bible then you can understand 2nd coming christ. When we study the bible 2nd coming Jesus must come to the earth. Right, so many evidences are given to us by God’s Holy Spirit. plz let’s listen God’s voice. Only those who receive Him through all the evidences in the Bibld can realize Ahnsahnghong is our Second Coming Jesus in this last age. Yes, He is the true second coming Christ. that’s right! all prophecies of the Bible had fulfilled by Christ Ahnsahnghong. Whether or not you acknowledge Him as the savior, the thing is, the Bible testifies to Christ Ahnsahnghong. Then, without studying the Bible with ppl who prove Him as Christ, how can you confirm whether it is true?plz come and see for yourself! Exactly! The bible testifies about the Christ and Christ Ahnsahnghong fulfilled all the characteristics of the Christ recorded in the bible. Therefore, we can surely say that Christ Ahnsahnghong is the Savior and God who appeared according to the prophecies of the bible. Jesus himself testified about himself through the prophecies of the bible. In the same way, Christ Ahnsahnghong proved his true identity through the prophecies of the bible. By opening the secret of the seven thunders of the bible, he proclaimed that he was the Root of David, who was the one to come in the bible. I agree with your opinion. no sweat no gain! if we want to go to Heaven. we need to know God’s plan. then where has God put His will down? only bible. I don’t agree with you. You need to find more about Jesus. don’t give up Jesus. I totally agree with what you said. I have been an atheist for a long time but through yjr grace of God Ahnsahnghong, I could realize the whole Bible testifies about our God. What else can I say? Yes, without any effort to know God. we cannot meet Him. You mean if I wanna know. I need to go and study with you? or by myself? @ Yuki Ayako – Hi ! 🙂 “You need to find more about Jesus. don’t give up Jesus…..” This is what u said. before. In fact, we believe in Jesus as God in the Flesh who came to this world 2000 yrs ago, so we also believe what Jesus said about His Second Coming. I think the one who need to more find about Jesus is no other than u. Plz come to the Church of God and see for yourself if it is true or not. Definitely right! If we want to know better about something, the best way is to go and check in person. @ Lee Eugine GBU! Right! If u wanna better know about Christ Ahnsahnghong, the best way is to visit the Church of God to check every question u have abt Him, cuz only the Church of God preaches abt the 2nd Coming Christ Ahnsahnghong. Amen. We can only distinguish the truth and the false through the Bible. Yea, that is true. The people I met recently mentioned about Ahnsahnghong. We didn’t have any chance to study the bible at the moment. They said that Christ has come from South Korea. I did not believe everything they said. But it was kind of interesting becasue they showed me a lot of things from the bible. That is true. To disprove something logically, first we have to know about it. In the same way, to refute the teachings of the churches of God, one must know the teachings of the churches of God. Otherwise, it is just an insistence which cannot be proven through any hard evidences. Therefore, before blaming the church of God for the false teachings, one should at least know about what the teachings are. God bless u John! U got a point. Unless we listen carefully to what others say, how can we answer properly ? In this sense, If someone wants to correct something, first, the one must try to know better about it before criticizing it! So i hope to see that the discussion on the truth of the Church of God will be done by the biblical evidences, not ppl’s talk. Only through the Bible, we can realize our God. God comes a second time and He teaches us the Bible and the prophecies of the Bible. So we can understand the words of God. It’s up to you not to believe in Ahnsahnghong as the savior in this age. Whether you believe it or not, if all the evidences for the second coming Christ tell that Ahnsahnghong is the savior in this age, He is the very God who we have been waiting for. It’s because the Bible testifies our Savior through so many prophecies. So, I’d like to recommend you to study the bible thoroughly before you decide what is right or wrong. I totally agree with you Claudia! Receiving our savior through the bible decides our salvation. James, it seems that you believe Christ Ahnsahnghong is the second coming Christ since he “fulfilled” the prophecies of the bible. But I am not sure what you are saying. How do you know that he is the Christ and what prophecies did he fulfill? How do you know that you are not mistaken? Or misunderstood the words of God in the bible? However, I have to say that you are to be led by the Holy Spirit, not by your own thoughts and theories. It will end up with destruction. Right! We can truly believe in Christ Ahnsahnghong as our almighty God through the prophecy of the Bible. @ Jessica , Hello 🙂 How do we know that we(members of the Church of God) are not mistaken? Or misunderstood the words of God in the bible? The Bible clearly teaches us who are the wise. God allows all wisdom and understanding to those who have redemption through his blood – The New Covenant Passover (Matthew 26:19~26, Luke 22:20)-so that they can know the mystery of God’s will. This is what the Bible says. The Church of God is the only church that keeps the New Covenant Passover established by the precious blood of Jesus. That is the reason why we don’t make any mistake nor misunderstand about Christ testified in the Bible. I do hope that u throw away your prejudice and open your spiritual eyes. God bless~! And let me ask you one thing! What do you think of the necessity of the bible? I mean, why did God give us the bible? If we just need to be led by the Holy Spirit(God) to be saved? It then, there would be no need of the bible. We just believe God and follow the leading of the Holy Spirit. But God gave us the book of the bible for our salvation. Why? 2,000 years ago Jesus answered about it(Jn. 5:39). And it is the same in this age. We should study the bible diligently to have eternal life, since the bible testifies about our Savior in this age of Holy Spirit. If you really want to meet true God almighty, you may be able to meet God by studying the bible so diligently. since the Bible foretold us about 2nd coming Christ to come again in these last day. Most of all don’t want to spend time to study God. They have already tired of Christianity. but now is the very time to find God for us. How can you study all kinds of things about the second coming Christ through the Bible by yourself? It is difficult that we study all the prophecies of the Bible, we can not distinguish the true meaning of prophecy among many interpretation which was translated by man. It won’t be too late to deny Christ Ahnsahnhong after studying the bible(prophecies). Without putting in any efforts, how can we find the Second Coming Christ who has Jesus’ new name? Amen. Regardless of what people may think, Christ Ahnsahnghong is God coming as man according to the prophecies of the bible. For example, If we look at the prophecy of David, Christ must appear and get baptized at 30 and he must preach the gospel for 37 years to fulfill the prophecies of the Throne of David. Christ Ahnsahnghong fulfilled these prophecies of David’s throne. Then is it just coincidence? No, if something happens consistently, it is not a coincidence anymore. There are so many prophecies fulfilled by Christ Ahnsahnghong. Therefore, we can be sure that he is the second coming Christ. If you believe the bible, it doesn’t difficult to believe in Christ Ahnsahnghong. Amen. The bible teaches that the one who restores the Passover of the new covenant is the God who can give us salvation. And Christ Ahnsahnghong restored the bread and wine of the Passover and gave us the forgiveness of sins and eternal life. Then who must he be? He is the second coming Christ the bible testifies about. i believe Jesus who is in the bible and died for me and you. Hello, Yuki Ayako, I too believe in Jesus who is in the bible and died for me just like u. That’s the reason why i believe Christ Ahnsahnghong , the Second Coming Christ. Jesus teaches us that Jesus will appear a second time to bring us salvation. Spiritually Jesus , very nature God is always with us,but Jesus says “appear”, which means that He will come to this world again “in the flesh ” to give us salvation as His First Coming. So plz come to the Church of God and see for yourself if His Second Coming in the flesh is true or not. I believe the bible is the present for us. but I believe Jesus gave it to us. Yes, it depends on our mindset whether we believe in the bible or doctrines and stereotype taught in church. Amen! Just find who fulfilled all the prophecy of the Bible ! This is why God gave us all prophecies of the Bible. Then we will find the fact that Christ Ahnsahnghong fulfilled all of them. I agree with you Noeleden. @ Yuki Ayako, Hi, Yuki. Do you happen to know what Jesus established for our salvation with His precious blood to be shed on the cross ? It was the New Covenant Passover. We can become one body with Jesus only when we keep the NC Passover. LK 22:15~20 [ And he said to them, “I have eagerly desired to eat this Passover with you before I suffer…..And he took bread, gave thanks and broke it, and gave it to them, saying, “This is my body given for you; do this in remembrance of me.” In the same way, after the supper he took the cup, saying, “This cup is the new covenant in my blood, which is poured out for you. Therefore, If u don’t keep the NC Passover, Jesus’ sacrifice on the cross has nothing to do with U. He can’t take all your sins cuz u are not one body with Jesus. So Plz deliberate the reason why Jesus had to die for us and why Jesus had desired to eat the Passover 2000 yrs ago. And even now why did Christ Ahnsahnghong reestablish the NC Passover which had disappeared for 1600 yrs. The NC Passover is the only way to be saved! Only God can allow us ! Yes. Even though Christ would come to this earth in the flesh that we can not expect, we can recognize the true savior, if we trust the prophecies in the Bible absolutely. Those who truly believe the Bible will realise Christ Ahnsahnghong is God. Yes. Christ Ahnsahnghong who is the savior has come to this earth to bring salvation. right. All the prophecies of the Bible tell us that Second Coming Jesus is Christ Ahnshanghong. It is quite obvious that Christ Ahnsahnghong is the second coming Christ because he fulfilled all the prophecies of the bible. It is not difficult at all. It is so easy because there are so many evidences. The major reason we believe in Christ Ahnsahnghong as Jesus who has come a second time is that He gives eternal life to mortal mankind. The prophecies of the Bible tell us that the One who gives mankind eternal life through the Passover of the New Covenant again is only God, the Second Coming Jesus. Therefore, Christ Ahnsahnghong, who has restored the new covenant and led us to eternal life and salvation, is Christ who has come a second time and our God the Father. The most basic belief in God is the belief of that the words of the Bible are God’s words. Many people who call themselves as christians do not have such belief. Just the fixed idea that God can not come as a man block the way to realize God who came in the flesh. If we follow the Bible, it is so easy to meet Christ Ahnsahnghong! At first it wasn’t easy to believe him as the Second Coming Jesus. But as I checked the prophecies in the Bible and fulfillment fulfilled by Him, I came to accept Him. Because I do believe in the Bible, not church nor opinion of people. The bible clearly testifies about the second coming Christ through the prophecies. And Christ Ahnsahnghong fulfilled all the prophecies of the bible. There could be no doubt about it. Yes but Jesus will be with you forever. Amen! the words of God are forever,but ppl’s words easily change depending on situations or circumstances. So plz focus on the prophecies about the Second Coming Jesus regardless of what ppl say! I totally agree with you. When I heard about Christ Ahnsahnghong, it was so difficult for me to understand it as the fact. But after studying the Bible, I could come to know the truth and Heavenly Parents, Father and Mother. I am truly blessed! Thanks to God!! That’s right. How can it be easy to know God. then we wouldn’t have crucified Jesus at that time. I need to ask about it to my pastor. He can answer to me about it. same here. it was difficult to accept as our God in this age of the Holy Spirit even though all the Bible testifies about Him. I guess that is because i always tried to understand the truth in my own knowledge. It is written that all the prophecies in the Bible should be fullfilled without a doubt. there are so many secrets hidden and prophesies in the Bible. the way to recognize the Savior in this age is to find out whether those prophecies are truly fullfiled or not. Absolutely!! When I heard the name first time, I just didn’t listen more. But after studying the Bible I realized that it had just my prejudice about God and second coming God in the flesh, Ahnsahnghong. It’s really similar to my case. Yes, I agree with your opinion. When we believe in father Ahnsahnghong, we can be saved by the teachings of the Bible. @ Adelia. God bless U. That’s our mindset as Christians who have faith in God! @ Adrian Eng, Amen! That’s the reason why the Bible says that Jesus will be a stone that cause men to stumble and a rock that makes them fall at His first coming. Even now It is the same situation as that of Jesus’ first coming. Christ Ahnsahnghong is a difficult question to solve to those who focus on His physical aspects. So please see the prophecy of the Bible! @ Lee Eugine Hi, Lee Eugine, R u sure that ur pastor can answer of ur question? Plz remember that 2000 yrs ago, many religious leaders like teachers of the law and Pharisees weren’t able to recognize Jesus as God. Yeah, the fixed idea that God can never come to this earth in the flesh make us not to recognize the savior even though the Bible testifies that God would come to this earth in the flesh. We can not easy to understand the invisible world and God. So, God allowed us the Bible. let us study the Bible carefully with humble mind. That is true. When we look at the prophecies of the bible such as David and Melchizedek, we have no choice but to believe that Christ Ahnsahnghong is the one who the bible testifies about. Christ himself said that the bible is the book that testifies about him and 2000 years ago he testified that he was the Christ who was to come through the prophecies of the bible. Through this we can realize that the bible is the only way to know the Christ who would come in the last days. Without the bible we cannot find true God. I give thanks to Christ Ahnsahnghong and heavenly Mother for allowing me to understand the bible. To believe the Bible is so important that we can believe in God because of fulfillment of the prophecies of the Bible. Right. We can realize our Savior through the bible. Yes, it’s because the Bible is the only thing that we can understand and accept our God. So without the Bible, there will be no people who received true God. Ok then How can we approach the bible by ourselves? Amen! I’ve never understood the Bible than i understand it now in the Church of God! through this topic, the Bible guides the salvation. The prophecies of the bible are so amazing. I could realize how God is working diligently for our salvation. I thank Father and Mother for the love and sacrifice for us. For me it was hard to accept him when I heard for the first time. But the more I checked the prophecies in the bible about him, the more I was convinced. Ooooo a lot of opinions… what’s going on? It is important to know God. But it is not easy… so many confusing things and incredible things. I don’t understand about this. I need to get bible first. let me check about it. We can understand and believe Christ Ahnsahnghong as our God who fulfilled the prophecies of the Bible. No one can fulfill the prophecies of the Bible, except God, Second Coming Christ Ahnsahnghong. Good for you, Adrian Eng. God bless you. Yes, me too. and the conviction is keeping on my mind as long as the bible is true. Many people under this article, many followers. I cannot believe such many ones. Actually, this is not a big deal! The important thing that we have to pay attention to is that the Church of God established by Christ Ahnsahnghong has been fulfilling the prophecy of the Bible. I hope that u can realize it before too late. While you’re here, take a closer look. Hi, Jenny , u know what ? it might be the same situation 2000 yrs ago, many ppl could accept Jesus as God at that time cuz they knew neither the Bible nor God. Plz just give it a try, whether the Bible testifies about Christ Ahnsahnghong or not. That is true. What happened to the first coming Christ would happen again when he comes for the second time. Christ himself prophesied about his second coming, “But first he must suffer many things and be rejected by this generation.” No one was supposed to know who the Christ is when he comes. Jenny, whatever we see and believe should be based on the Bible. without studying the Scriptures, we cannot find the Savior in this age and this is what it says in the Bible. God Ahnsahnghong might seem to be just a mere person to everyone living on this earth but the 66 books of the Bible testfies He is the Second Coming Christ who should appear in this last age of the Holy Spirit. If we look at the prophecies of the bible Christ Ahnsahnghong is the true second coming Christ. We should not focus on the physical appearance of Christ Ahnsahnghong. One of my freinds asked me why I belive in Christ Ahnsahnghong. I couldn’t answer it instantly although knowing the truth. I wanna tell my belief like the members here. To those who believed in his name, Jesus gave the right to become children of God. Don’t u think that u should try to find and believe in his “New Name” (Rev3:12) ? @ Jenny God Bless U, Jenny. This is what Jesus said, God shows himself to those who obey His command, What did Jesus command us ? Jesus commanded us to keep the New Covenant and its core truth is the Passover. Which means, those who keep the New Covenant Passover can recognize the true God, even if God comes in the flesh. When we receive Christ Ahnsahnghong, we can be saved. It’s absolutely true. Through Second Coming Christ Ahnsahnghong, we can be saved. Because He is our Savior. Is not the Passover recorded in the Bible that only God can bring? Christ Ahnsahnghong is truly our God. Those who follow God’s word can receive true savior and enter the kingdom of heaven. All the prophecies of the Bible are so deep enough to lead us to the Savior. That is, we can recognize Christ Ahnsahnghong as the 2nd coming Christ through the Bible. Are u saying that the bibkle is a book of prophecies? Not real. It was written just by men who do not know what will happen even in a minute. Many people says so. However, the bible says that the bible was written by men who were moved by the Holy Spirit. It means the bible was written by people who were inspired by the Spirit of God and they dictated what the Spirit of God told them. That is why we can say that the bible was given by God and God used the prophets as writing tools to record the bible. Even though we use a pen to write a letter, we do not say that a letter was written by the pen. Rather, we say that the letter was written by a person. It is the same with the bible. Even though God used the prophets as pen, it was God who gave the message. That is why the bible is the book of God, not book of men. So clear!! Therefore we can trust the Bible as the words of God. That ‘s the reason why the Bible says that only Root of David can interpret the Bible. Plz see this! somehow, I agree with what you are saying. I believe that the bible was not written by just men, but even though I don’t exactly know what is written in the bible, I has always been fasinated in the bible. I believe that there must be something I need to know in the bible. Absolutely true. By looking at the fulfillments of the prophecies of the bible, we can be sure that the bible was not given by a mere man, but by only God himself. The Bible is not just a book written by men. It is because there are knowledge about modern science which got quite ahead of those times when the Bible was written. How could ordinary people 3500 years ago even guess today’s modern science? It was possible because the knowledge of the Bible was given from God. You’re right! But one thing you’ve missed is that the Bible consists of the living of words of God. Whether or not u believe in God, History testifies that the bible is the books of prophecies. Amen. The human history is “His story”, that is the story written and fulfilled by God. Amen! Most of ppl who don’t believe in God say that they don’t believe the Bible because it is “unscientific” and “unrealistic”. However, We can confirm that 3500 years ago the Bible already testified modern scientific facts like the Water Cycle, and Earth floating in space which were proven 17~18 centuries , also world history was achieved as written in the Bible. Once you study the prophecies of the bible, you will understand that it was a man who recorded the bible. God gave the prophets His words so that they could record them in the bible. Look at the prophecies of Daniel, and then you will understand what I am saying. I also thought the bible was written by man’s thought. But the prophecies in the bible were awesome and amazed me a lot. The Bible reveals not only the existence of Savior but also the identity of antichrist. So if u know who the antichrist is thru the Bible, u will also acknowledge Christ Ahnsahnghong as God. Amen ! The history written in the Bible is the prophecies in order to teach us. Ro. 15:4 [ For everything that was written in the past was written to teach us, so that through endurance and the encouragement of the Scriptures we might have hope. That is true. The past was written as prophecy to teach us what is going to happen in the future. Hello, Barret! It was written by men, but the Bible is true. Men are just a mere tool that God used.Suppose that u received a letter written with a pen, then can u say that u received a letter from pen ? NO. All the knowledge in the Bible are from God not men. If u check the Bible then, u will find knowledge about contemporary science in the Bible written thousands years ago. If u want to know more, plz follow the link below. Hi, Barrett. Humans can NOT even guess what will happen in few minutes, then how did they prophesy about the future things? and besides, it turned out that most of the prophecies were already fulfilled. Which means that God wrote the Bible thru humans. The whole Bible testifies Jesus our Lord. Ever read John 5:39~? He is the core of the Bible. Plz, pay attention to His commands, that is, his great love. The core of the Bible is our God who has come to this earth in the flesh and the source of eternal life. When we read the book of John 5:39, it says that when we study the Bible diligently, we come to know our Savior. For receiving our God, let’s study the Bible diligently with humble mind as aforementioned. I totally agree with you, Crystal. Also, i do believe that the very core of the message in the Bible is very the New Covenant Passover. Though the Passover, God poured His love and mercy on us only to save us in this last age. @crystal God Bless U, we should be humble before the word of God, no matter how rich u are or how smart u are ! cuz God saves the humble! Christ Ahnsahnghong has come to this earth according to the prophecy of the Bible. That is true. Christ’s appearance is prophesied in the bible so that we can know who the true Christ is. Other than the bible prophecies, we can never realize who the Christ is. You are right. Jesus is the core of the bible. More precisely, the Christ who would appear as Savior is the core of the bible. The Christ who appeared 2000 years ago happened to have the name Jesus. And the same bible prophesies that the Jesus would come back again with a new name. It means that he would come for the second time with a completely different name, not the name Jesus again. Therefore, if you truly believe that Jesus is our Lord, then you have to find out the Jesus whould come again with a new name in the last day because he is the same Jesus coming for our salvation even though he appears with a new name. Ahnsahnghong is just a Korean man. What you do and believe in the church of God is wrong. You are misleading people. We have only one Savior, that is Jesus, Not Ahnsahnghong or God the Mother. Louis, I hope that you study the prophecies of the bible. Then you will understand who the Christ Ahnsahnghong is and why we believe him as the second Coming Christ. True. He is a Korean man. But think about Jesus. Was he just a Jewish man? No. Even though he came as man, he was God who came to us to fulfill the prophecies of the bible. Through the bible prophecies, today, we believe that Jesus was God who came as man. In the same way, the bible prophecies teach us that Ahnsahnghong is the Christ and God who came as man. It looks like you have a strong faith in Jesus. Then you ought to be able to believe in Christ Ahnsahnghong, since many prophecies that Christ Ahnsahnghong fulfilled were uttered by Jesus. What is different from your opinion? But Apostles kept preaching about Jesus, since Jesus fulfilled the prophecies in the old testament. Christ Ahnsahnghong fulfilled the prophecies in both the old testament and the new testament. @ James, Amen! The reason that the second coming Christ had to come in the flesh and come from Korea is cuz of the prophecy of the Bible. Truly, the Bibleteaches that we have to come to him for eternal salvation. His teachings are living water for our souls. Amen. The bible says the Spirit and the bride are the source of eternal life, that is, God the Father Ahnsahnghong and Heavenly Mother New Jerusalem. Jesus said ‘about me’, right. and He promised He will come to this earth 2nd time in the bible. He will appear a 2nd time( Heb 9:27~28) the bible tells that Jesus who will come a 2nd time also. Amen. When he comes, he comes as man with a new name and from a new place. He will completely change his identity so that no one would be able to recognize him. Yes, Bible said Jesus will come again for the judgement. If your doctrine is correct, this world have to be destroyed. However, this world is still exist without any harm. How can you explain it? That’s right. Then, how can we realize Him? The bible testifies that Passover is the sigh of the Savior coming as spiritual David. It is only Christ Ahnsahnghong who informed us of it. @Cliff Simon, Hi! Cliff Simon. ” Jesus will come again for the judgement. If your doctrine is correct, this world have to be destroyed. However, this world is still exist without any harm. How can you explain it?”— > This is what u asked. To say to the point, the Jesus’ Second Coming is NOT For the Last Judgement. It is cuz Jesus said that He would not find faith on the earth when He comes a second time. Which means, there will be no one who deserve to be saved by faith at His second coming. Then, as u said, if Jesus comes as the Judge to the earth where there is no faith. Who can be saved? None. So it is totally wrong to think that the world will be judged as soon as Jesus comes a second time. It is cuz as written in the Bible, there are the saints who will be saved in the last days. Therefore, the insistence that the Jesus who comes a second time as the Savior is the same as the One who comes as the Judge is false. Christ Ahnsahnghong is truly the Second Coming Christ who again established faith by restoring New Covenant Feasts in this world where there is no faith. Hello! Cliff Simon. This is God’s plan based on the Bible for our salvation. 1. Jesus’ First coming ( occurred)-> Jehovah God in spirit came to this world in the flesh in the name of Jesus and established New Covenant for His people according to the prophecy (Jer. 31:31~33). The Passover, core of the New Covenant is the only way to be saved (LK 22:19~20) and it was abolished in A.D 325 by the Council of Nicea. After that, the salvation had been cut off from humankind for almost 1600 years until the Second Coming Jesus restored the New Covenant Passover. 3.The Last Judgment’s day (not yet but coming soon) -> God’s people who keep the New Covenant feasts will be caught up in the clouds to meet God in the air. However, the others who do not know God and do not obey the gospel- Seven feasts in three times of the New Covenant including the Passover will be punished by Jehovah as the Judge who will appear in blazing fire at the last day. 4. Eternal Kingdom of heaven VS Eternal Hell –> Where will we be ? It is up to U. God Bless U.
Amen! The place where the Second Coming Christ Ahnsahnghong gathers His ppl is Zion where New Covenant feasts are celebrated (Isa 33:20). Many nations and peoples are streaming to Zion, the World Mission Society Church of God in order to learn the law of God-New Covenant (Mic 4:1~2). This prophecy is being fulfilled. I hope that many open their eyes n see what is happening now! Amen. I agree with your thought. plz pay attention to only bible. you can meet and receive Jesus. Hi, Yuki Ayako, If u pay attention to the Bible and meet Jesus, u must know the new name of Jesus, mustn’t u? Rev 3:11~12 [ I am coming soon. Hold on to what you have, so that no one will take your crown. Yes, Yuki. Since God the Father Jehovah had prophesied that he would come and establish the new covenant, Jesus, who fulfilled the prophecies, is God whom the Bible testified about. And since Jesus prophesied he would come again with the new name and restore the Passover of the new covenant, Christ Ahnsahnghong, who has fulfilled these prophecies, is God proven in the Bible. All the prophecies, parables, teachings, and the history of the past in the bible was given to us to show the Christ who would come to save us. The bible is a truly wonderful book given to us by the grace of God. We need our Father and Mother in heaven for going back to kingdom of heaven. Without our heavenly Parents, there is no way to our eternal home, heaven. The way to realize and acknowledge to our heavenly Parents is to study the Bible diligently. How about studying the Bible diligently? That is correct. The physical life is given by the physical parents. Likewise, the spiritual life the eternal life is given by the spiritual parents. We have to have God the Father and God the Mother. Yes. Truly Christ Ahnsahnghong is the new name of the Christ. Thanks to God for give us great love. Among many prophecies, as aforementioned, the Passover is the sign of Second Coming Jesus our God. So we can clearly understand and accept Ahnsahnghong as our God. Soooo many people brainwashed!!!! I feel sorry😪 the second coming will come like a thief in the night, wake up ready the Bible , we will not all be here chilling when Christ comes!! !stay woke be a leader not a follower!!! Stephanie, haven’t you ever thought that you might have been brainwashed yourself by the customs you are following and believing. You are brainwashed in a sense because you cannot get out from the boundary set up by the common sense. Break the common sense then you will see the new world and the truth. Hello, Stephanie, First of all, I swear that the reason why i say this is cuz the Bible says this, not cuz i was brainwashed, ok 🙂 ? I’ d like to give a question, why did Jesus let us know that there is His new name? Plz see below. I also have the same ideas.. brainwashed. you seem to believe in God. How can you say that?? I hope you’ll speak carefully whether you believe or not. I’m proud to believe the truth and the Saviors on the basis of the Bible. Truly, the Bible testifies about Christ Ahnsahnghong and God the Mother. If you want to confirm, read the various articles on this site. That is true. The life of Christ Ahnsahnghong tells us that he is the true second coming Christ. He came as King David and fulfilled 37 years of David’s throne. And also he restored us the everlasting covenant, the promise of God given only to David. It was amazing to study the prophecies and find out the fulfillment through the life of Christ Ahnsahnghong. Yes!! The etire life of Christ Ahnsahnghong is the evidence to show the fulfillment of the prophecies of the Bible. So amazing and clear!! He is truly God in the flesh. Amen. Truly his life was the fulfillment of the prophecies of the bible: his baptism, his ministry, his teachings, his works, his death, etc.. Through his life we can be sure that he is the Christ who was to come. Yea. You can follow the link below and you will find some of the prophecies of Christ Ahnsahnghong coming as spiritual David. Yes, The Bible says that when we study about parable of the fig tree, we can easily understand when second coming Christ would come to this earth to restore the truth of the Bible. Amen. The fig tree is an amazing prophecy through which we can realize the appearance of the second coming Christ in the last days. God granted us the spiritual eyes to recognize God Almighty in this age of Holy Spirit. Only those who want to know God, they can. Truly God gave us wisdom through the Holy Spirit so that we can know the mysteries of God. Thanks to Father and Mother. Of course!! Jesus Christ is acknowledged through the prophecies of the Bible. Likewise, 2nd Coming Jesus is the same. 2,000 yrs ago, that was lesson for us. That is true. We can know the second coming Christ through the bible because the bible testifies about the Christ. Amen! No doubt at all.The Bible proves Christ Ahnsahnghong as the Second Coming Christ. Nevertheless, if we don’t accept the fact, this is an act being against words of God. Amen! We must not make the same mistake like what the Jews did to Jesus! If the Bible don’t prove Christ Ahnsahnghong as Christ, church members don’t have to carry the Bible for preaching! If we just believe in God and can be saved, then there would be no need of the bible. The reason the bible exists is to testify God coming in the flesh for our salvation(Jn. 5:39). Therefore, Christ Ahnsahnghong fulfilling all the prophecies in the bible is our Savior. No, it was Jesus who fulfilled all the prophecies of the bible, not Ahnsahnghong. @Louis, Hello, R u sure that u know “ALL” the prophecies of the Bible ? or R u sure that Jesus fulfilled ALL the prophecies of the Bible? What about the prophecy related to King David? I hope that u know this prophecy. NJ, I know Jesus was spiritually called King David because he descended from the David’s line. When Jesus comes for the second time, we can call him as King David again for the same reason. I said whether or not u know the prophecy related to King David, as u know , the prophecy is to let us know about the future things that will happen. The Bible says that we must seek the “king David” in “the last days” to receive blessing. Since the king David who we must seek in the last days is not a physical king David the second king of Israel, but a prophetical king David. Then who do u think that the prophetical king David is my dear? U are Right! The Bible prophesied that God would come to this earth a second time to bring the salvation. 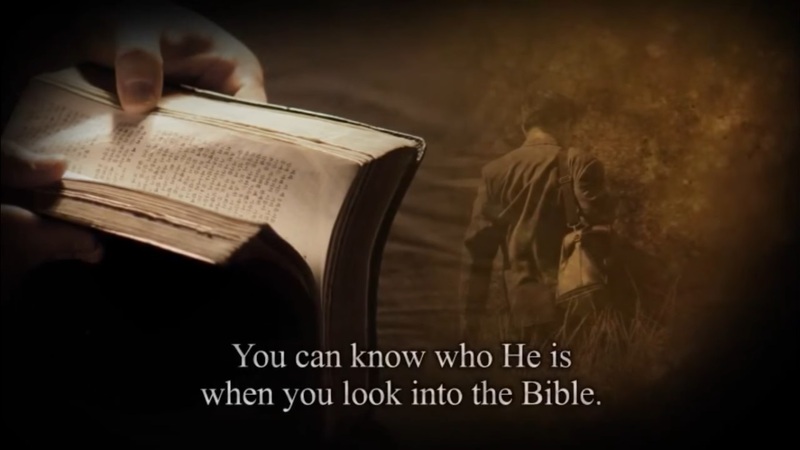 ( Heb 9 : 28 ) I hope that all people study carefully the Bible, so that all will accept the savior in this age. Please not,,, let’s not do it again,. Only Christ Ahnsahnghong restored the Passover which is abolished the new covenant in this age. Amen ! According to the Bible, only God can allow us the forgiveness of sins (Mk. 2:7) So, the fact that Christ Ahnsahnghong is the only one who restored the New Covenant Passover is to demonstrate His deity. It is cuz the New Covenant Passover is the only way for us to receive the forgiveness of sins. How do you know that Ahnsahnghong is the Christ prophesied in the bible? I think you are misinterpreting the bible and making a serious mistake in saying so. The bible says that Jesus is the Christ and Savior and no other. I cannot see anything about Ahnsahnghong in the bible. I want you to let you think about it. Can you find anything about Jesus in the Old Testament of the bible? I am sure that you can’t. Then how could the saints of the time believe Jesus as the Savior? It is because Jesus fulfilled all the prophecies about the 1st coming Christ, although there was not a single word―the name of Jesus―in the Old Testament of the bible. Like wise, there is not a single word―the name of Ahnsahnghong―in the Old and new Testaments, but He is the very Savior in this age of the Holy Spirit, since He fulfilled all the prophecies of the bible about the 2nd coming Christ. Yes!! We can receive our God in the flesh in this age Only through the prophecies of the Bible which is the way to understand Him like 2,000 yrs ago. So whenever I have studied the Bible, it’s amazing!! Plz Open your eyes, If not you never meet true God. but not easy to realize by yourself plz come and ask to help you understand. The whole Bible wrote about Jehovah and Jesus! As you know, Jesus is Christ who will save us. He is the image of God Almighty. There’ll be disasters for unbelievers and redemption for believers at his 2nd coming to the earth. The Bible says that there are three ages. God the Father said that He will appear in the flesh. According to this, He appeared 2,000 yrs ago. And Jesus mentioned that I will come again and let us know the teachings of Him again as the second time. Second time means that He will appear in the flesh. As you know, it’s because God is always with us spiritually. In other words, when second coming Jesus comes, He will let us know the way to eternal life like 2,000 yrs ago. So in this age we should acknowledge on 2nd coming Jesus. The words of God are absolute. We have to trust in the words of God. Amen. God’s words are amazing and great. It is accurate but very scary. In the 20 questions games, you can get the right answers when you get enough evidences. It is the same. The prophecies of the bible are working as evidences. Therefore, we come to find enough evidences from the bible it is not easy to understand who Christ Ahnsahnghong is. so.. now is the another age after Jesus’. really really new and shocking! and then another age is coming? or Holy Spirit’s age is the end? God divided his salvation work into three ages: the Age of Father, Son, and the Holy Spirit. The Age of the Holy Spirit is the last age in the plan of God and there would be no more age. That is why we have to know the Savior in this age to receive the salvation. If we miss this time, there would be no more chance for us to receive salvation. That’s interesting. But my question is how do you know we are living in the age of the Holy Spirit. We could still be living in the time of Jesus. There is no way for us to know that we are living in the last days. Right? Jessica, 2000 years ago, Jesus taught many prophecies to let us know the signs of the last days. Open your eyes and look around you. Can’t you see what is happening in this present time? Earthquakes, many natural and man-made disasters, wars and weapon that can destory the whole world. More importantly, he exactly taught the time of his appearance through the prophecies of the fig trees and coming on the clouds, and many other prophecies. We ARE living in the last days! Jesus had already gone to Heaven and has already come again to this earth. Jessica the age of the Son came through the appearance of Jesus the Son of God. Since then people started to call on the name of Jesus for salvation instead of Jehovah God the Father. Likewise, with the appearance of the second coming Christ the age of the Holy Spirit begins. And Christ Ahnsahnghong God the Holy Spirit came to us in the flesh for the second time. That is why we believe that we are living in the age of the Holy Spirit. This is Jesus’ teaching 2,000 years ago. You say that this age is the age of the Holy Spirit. Nevertheless, we have to rely on the name Jesus! Revelation 3:11 I(Jesus) am coming soon. Hold on to what you have, so that no one will take your crown. 12 The one who is victorious I will make a pillar in the temple of my God. Never again will they leave it. I will write on them the name of my God and the name of the city of my God, the new Jerusalem, which is coming down out of heaven from my God; and I will also write on them my new name (Jesus’ New Name). 13 Whoever has ears, let them hear what the Spirit says to the churches. The Jesus you believe prophesied that he would give his new name. It means when he appears again the last day, he would come with a completely different name. You have to believe this too. And try hard to find out the new name of Jesus. When the new name of Jesus is revealed, Jesus will teach us the same thing. Until now you have not asked anything in my new name, but now ask and you will receive what you ask in my new name. Then this is the last chance for us. What a precious and important chance it is! I am so happy to come to know the Savior in this age, the age of the Holy Spirit. Let’s give thanks and glory to our Holy Father and holy Mother for allowing us mind to be able to recognize you! Amen. We are truly blessed because we know the Savior in the Age of the Holy Spirit, God the Father and God the Mother. Wow… I see it is so important to receive the Savior of this age. what is ‘restore’ meaning? like reformation something? about bible or what? passover has been kept all the time, right? Hi simmon! Thank you for asking. I think you understand that the Passover is really important for our salvation, right? But unfortunately it was abolished at the Council of Nicaea in A.D. 325. That’s why God came to this earth again to “restore” (or re-establish) the Passover for us. True. Christ Ahnsahnghong restored the Passover, which had been abolished by the work of Satan. Only the Church of God keeps the Passover of the new covenant through the Bible, the 14th days of the first month. However, the other churches don’t keep the Passover, correctly. Yes!! The magazine says that the only world mission society church of God keeps the Passover of the new covenant according to the records of the Bible. It’s so clear!! That is true. The Passover is a festival of God and it has its own appointed time and regulations. Only the churches of God are keeping the Passover according to the teachings of God. It means the new covenant is established by God. The Passover was abolished in AD325 but it was restored by the second coming Christ Ahnsahnghong. Amen. The truth of life abolished by Satan was brought back again by Christ Ahnsahnghong. Christ Ahnsahnghong is the second coming Christ that appeared to give us salvation. The passove is the eternal covenant which is established with the blood of Christ Jesus who came in the flesh for our life according to the words of God. So it’s the sign of God. As you mentioned, therefore Christ Ahnsahnghong is our God in this age!! without passover the new covenant, we can receive the forgiveness of our sins in Heaven. First, Jesus who came in flesh died for us with the best love which we can get ever. then now second time God the Father came again in flesh… it’s not easy to believe in…. but without Him we can not meet God the Mother and we can have the Heavenly Home, either. How thankful! Amen. Christ Ahnsanghong came to this earth again to teach the New Covenant Passover which is the truth of life as a man in the flesh just like us. Thanks to Christ Ahnsanghong with all my heart. Amen! It is great blessing to meet God who came as man in the flesh in these last days! Christ allowed us to receive all the blessings of heaven through the Passover of the new covenant. Let us keep the Passover. i agree with this article too. according to bible prophecy, we need to meet God the second coming in flesh. we are so lucky that we can have salvation.. amazing eternal life. wow. God came a second time in the flesh? Christians say that Jesus is the Savior. But, I do NOT think so because there’re lots of crimes such as sexual abuse even in churches, which claim to believe in Jesus as the son god. I know that many people got disappointed by many ugly things taking place in the so-called churches. Especially, what is happening in the Catholic churches around the world is so shocking that it is shame to call them the church of holy God. However, Barret, through the prophecies of the bible you can know their true identity and understand the reason why those things are happening in those places. Everything is recorded in the bible. Bible teaches that they are like weeds and false churches. Even though they seem to believe in God, they are actually servants of the enemy of God that is Devil. That is why we should find the true church where people follows the teachings of God. Then you will have chance to have a different opinion about a church. Believe me there is a true church in this world. That is World Mission Society Church of God or in short WMSCOG. At first time, I didn’t trust WMSCOG. But after studying the Bible step by step I admit this church. At first time, it”s very difficult to understand and accept Christ Ahnsahnghong but according to 5W and 1H, I come to know second coming Jesus. So amazaing and great!! Amen. The bible truly gives everything about the Second coming Christ as prophecies so that we can recognize him when he comes. He came as man in the flesh and started his ministry in 1948 when the fig tree blossomed. He came from Korea, a far-off land in the east and more and more…. The Church of God is the true church established by Christ Ahnsahnghong through the blood of the Passover. The Bible prophesied that many false Christ would appear in the last days since second coming Christ will come to this earth. (Mt24:24) Only we can distinguish the true and the false by the Bible. Jesus has not come again. Do not be deceived at all. Come to Jesus! He will comfort you with his great love. Hi, Hailey! Let me ask you a question, Can u recognize Him when Jesus appears a second time then? On what ground do you say that Christ has not come again yet? 2000 years, Jews believed like that and they were condemned because they did not know the time they were living in. Jesus rebuked them that they could not discern the time frame they were living. Likewise, If we do not know the time frame we are living in, we would not be able to recognize the second coming Christ. And we cannot receive salvation. Therefore, I recommend you to study the prophecies of the bible and know the time we are living in. Needless to say, please just read Heb. 9:28. and learn about “the parable of the fig tree” which is the teaching of Jesus. You said come to Jesus. Then where should we come to meet Jesus, Hailey? sungod temple having sunday services, celebrating the birth of sun, etc… I ask you to study the bible to know the place where God has chosen for his own name to be praised. That is Zion. Hailey, you are deceiving people with words without knowledge. Have you studied any of the prophecies of the bible about the second coming Christ? First, study some of the prophecies and decide yourself before making any judgment like this. I agree with u. Im so lucky and thanks to Father and Mother till the end. Sometimes i think that how can i become member of church of God? It is really by greace of God. Amen! Truly all of us could come to Zion thanks to the grace of God. We are so blessed since we received Christ ahnsahnghong whom the Bible testifies about. God bless you. We are truly blessed to know God. yes… I have heard this by studying bible.. actually now I … cannot believe in Ahnsahnghong as God in this age.. but it is written in bible. I cannot excuse. anyway i saw this and confirm thru bible about this. i think it will take time to believe in God of this age. I will study one by one. first check thru the bible. I believe bible is true and fact. mttchell, there’s no god at all. Jesus is merely a man from Israel. And, the bible is merely as book written by men who are mortal. That is not true. First I recommend you to study the prophecies of the bible. Then you will come to understand that your opinion about the bible is wrong. God gave us the bible to teach us about the spiritual world and to lead us to that eternal world. And the bible teaches that God himself would appear as man to save us. That was partly fulfilled by Jesus 2000 years ago. And Jesus was God who came as Savior to fulfill the prophecies. And the same Jesus appeared again in the name of Christ Ahnsahnghong to save us. Of course there is kingdom of heaven and spiritual world even though we cannot see with our own eyes. As you know, even though we couldn’t see the existence of wind we know its existence. Likewise we can understand the existence of the invisible world. I want to know about this so I study the Bible. I am so happy to study and come to know this. Jesus was a Jewish man. This is true. But he was not a mere man. He was God who appeared as man according to the prophecies of the bible. There are so many things that I can show you to prove what I am saying. The life of Jesus itself shows that he was not just a man, but God. And the bible is not a mere book written by man. It is a book of prophecies given by God. Barrett, just because you cannot see, you cannot say that it does not exist. There are so many things that exists even though we are not aware of such as air, elementary particles, bacterias, things that are far, things that are so small, things hidden behind or underneath, etc…. Just because we cannot see, can we say that it does not exist. We can see them through microscope, telescope, and other tools. In the same way, we can see the invisible world through the prophecies of the bible. Barrett, I hope you realize God who can give us eternal life and eternal destruction. That is interesting. What did you see in the bible to make you so sure about Ahnsahngong? Tell me what you have seen through the bible study? There’s no verses concerning Christ Ahnsahnghong in the Bible. Just distorting the truths of the Bible. No more! That is true. They cannot prove anything. They just claim that Ahnsahnghong, a Korean man is Christ. We should not be deceived. No, Hailey. Every line of the bible shows that Christ Ahnsahnghong is the Christ prophesied in the bible. First you have to look at the prophecies of the bible. Hailey, The Bible has many prophecies about God, Himself, not only Old Testament but also New Testament. God had come a first time, 2,000 years ago, He established the feasts of God such as Sabbath day and Passover of the new covenant, etc. Only God can do. And God has come a second time in this age. He reestablished the feasts of God that was lost. His name is Christ Ahnsahnghong. Only God can restore the new covenant such as Sabbath day and Passover, and so on. Jessica, we believe that Christ Ahnsahnghong is the second coming Christ. Jesus gave a lot of prophecies of his second coming 2000 years ago such as coming on the clouds, fig tree, from the east, hidden manna. And Christ Ahnsahnghong fulfilled all the prophecies and that is why we believe that Ahnsahnghong is the second coming Jesus who we must meet in this last day for our salvation. Without the evidence and fulfillment according to the Bible, we cannot accept and believe in Christ Ahnsahnghong as God. In other words, World Mission Society Church of God believes in Christ Ahnsahnghong as God according to the words of God. Jessica, do you know the Passover? Probably not. The bible says that the one who restores the Passover is the Second coming Christ. Jesus gave the new covenant of the Passover and kept it with his disciples. In the year 325, however, the Passover god abolished by the work of Satan. Finally, in our time, Christ Ahnsahnghong restored the Passover. This proves that he is God who came as man to fulfill the prophecies of the bible. “Surely this is our God.” This is truly thrilling. I am sure that I have met my God through the Passover. The wine that destroys the power of death and gives the eternal life is the Passover. Do you know this is called “the aged wine”? it is because the Passover got abolished and lost for about 1600 years. The wine of the Passover was hidden for such a long time. That is why it is called “aged wine”. Finally, in the churches of God around the world keeps the Passover. It means the aged wine is open again. Then who restored the Passover? Christ Ahnsahnghong. And the Bible says that he is “our God”. Through this prophecy we can see that Christ Ahnsahnghong is God even though he appeared as man. There are so many other prophecies too. Jessica, I can introduce one local church of God if you want. Let me know. Jessica, first look around this site. They are updating the articles from time to time. And recently I could read some articles about the prophecies of the Second Coming Christ such as coming on the clouds, coming from the east, fig tree, etc. When you read these articles you will understand why Christ Ahnsahnghong is the true God and Christ. I read this article. I couldn’t understand about the second coming Christ. I’ve never studied it in our church. I’m thoroughly confused. I want to know about the secret of God. Lilytay, that is true. we should know the secrets of God. But what is important is who can teach us the secret of God except for God himself. Therefore, the very first thing you should do is to find out who God is or more correctly who the second coming Christ is. This is the most important question that we have get the answer of . I recommend you mitchell to read John5:39, thru studying the bible carefully, you may be able to see true God in this age. I hope you can believe in Christ Ahnsahnghong. Truly, right! All the prophecies of the Bible were written about our Savior Christ Ahnsahnghong. Absolutely!! 2,000 yrs ago, the apostles and prophets receive Jesus as the Christ through the words of God, the Bible. Likewise in the age of Holy Spirit through the Bible we could accept Second Coming Christ who came to this earth in the flesh like 2,000 yrs ago. What prophecies show that he is Christ? There are many prophecies in the bible such as “King David”, “Melchizedek”, “Last Adam,” etc. I hope you visit one of our local churches and study the prophecies of the bible. Then you will come to know the reason why we are preaching about Christ Ahnsahnghong. He established Zion and put the new covenant, the Passover again. This is one of the prophecies fulfilled by the second coming Christ. Amen. No one can deny that. To realize 2nd coming christ is grace if God. Thanks to Father and Mother. Amen. Truly thanks to Father and Mother. If we get rid our of our fixed idea, we can meet God who came in the flesh. That is true. However, it is not easy to get rid of our own thoughs and opinions. It took me such a long time to understand the prophecies of the bible because of my prejudice. Once you look at the bible without any prejudice, it is so easy to understand. Amen. First, we must get rid of the prejudice that God is only man alone. The bible, even from the beginning, teaches us that God exists in two different images, male and female. It means God exists as Father and also Mother. Amen! I hope all people follow God’s way for our salvation rather than their own thoughts and opinions. When I come to know the fact that the only way to salvation is the new Covenant Passover because it’s the sign of God, I was surprised. It’s because it’s the master-key that I could recognize God through. Christ Ahnsahnghong is truly God!! Only Christ himself can give us his own flesh and blood through the Passover. Therefore, Christ Ahnsahnghong who restored the Passover is Christ himself who came for the second time for our salvation. Amen. the Passover is the core truth of the new covenant which contains all the blessings God grants to his children such as the forgiveness of sins, eternal life, protection from the disasters. We have to keep the Passover. Of course, we have to trust the prophecies of the Bible bcz all of them were from God the Savior. However, see to it that we should not distort them with our own thoughts. People say that you can deceive one person all the time or all the people one time. But you cannot deceive all the people all the time. I ask you to come and find out yourself if we are distorting the words of God and deceiving people or not. Then you will come to know the reason why so many people are coming to WMSCOG to study the bible and they believe what they have learned. Only the WMSCOG follows Ahnsahnghong as the 2nd coming Christ over the world. But, the Bible is the same. Hailey, it means WMSCOG is the only true church in this world. Jesus said that we should enter the narrow gate. The truth is not in democracy. Even though the numbers could be small, if we can find the truth, then we should follow them. Think about the Christmas and Sunday worship that most of the churches keep around the world. Do you think they are true? No. Most people know that they are not the truth of the bible. Then do you think we should keep them even though they are not true just because they are kept by most people? Jesus said that he would not be pleased with people who follow the man’s tradition. What you are saying is not the teaching of Jesus. The Passover was the Jewish feast and through the resurrection Jesus abolished all the laws of Moses. Therefore, we are not bound to the laws of Moses anymore. Moreover, we participate in the flesh and blood of Christ through the bread and wine of communion. Christopher, read the bible carefully. Christ himself taught us that we should keep the Passover. (Mt 26:26, Lk 22:19, Jn 6:53) Even Apostles kept the Passover. (1Co 5:7) Read the history of Christianity and find out who abolished the Passover. It was not God, but man an emperor. If we are following God, not man, we should keep the Passover. God Bless U, Christopher. What Jesus set an example about is not the communion but the Passover. And the Passover was declared as”New Covenant ” by Jesus. The communion has nothing to do with our salvation. Cuz It is not just bread n wine that give us eternal life but the word of God like ” Whoever eats my flesh and drinks my blood has eternal life”. Only bread and wine of the New Covenant Passover have the promise of Jesus and can become Jesus’ flesh n blood. Even apostle Paul kept the Passover of the New Covenant , not communion and taught ppl to keep the Passover of the New Covenant. Therefore, we should be warned of following man’s tradition. Even though we dedicate our whole life worshiping God during the Sunday services, we cannot be blessed by God. Jesus said that that kind of worship is in vain. And we cannot receive any blessing through those kind of worships. You are too much legalistic!! It is faith that saves us, not keeping the laws. Hello Chris, also the bible says you have to show your faith through your action. Faith without action is dead. If you think we are legalistic because of the Sabbath worship, then why do you go to church on Sundays? Is it not legalistic? Even though the bible is the same, the interpretations are different. Then which church in this earth interpret the bible according to the words of God in the bible without adding or subtracting? That is the Church of God. Like twelve disciples, people can recognize Elohim God through the Bible. Of course, with humble mind. Amen. Truly we should get rid of our own thoughts and ideas to meet God. So, God’s children follow God’s word in the Bible. I also believe Christ Ahnsahnghong as God Almighty because He is the 2nd Coming Christ as bible’s prophecies exactly. The prophecies of the bible are like a picture puzzle. When you put all the pieces together, you can see the face of God the Father and God the Mother at the end. Yes. God Ahnsahnghong is fulfilled all the prophecies. Man can’t do that. The things you say differently from other churches are just surprising! And a lot of articles and videos … How can you be sure? Because of all the articles and videos make sense and all the things as evidences teach us that Christ Ahnsahnghong is the true second coming Christ. Right! without knowing God we cannot expect Heaven. I also want to go there. That’s why we need to look into bible and meet God. Only bible can tell us about Christ Ahnsahnghong. The Bible is the tool which we can see the spiritual world, the kingdom of heaven. So as you said, it is very important for us who want to go there. I want to see more the Bible for me!! That is correct. We can find the spiritual world in the bible. We have to believe what is written in the bible. Right! 2,000 years ago, Jesus Christ warned us about many false Christs who would appear in the last days. And only through the bible, we are able to distinguish the true Christ out of many false ones. Yes!! When we study the Bible it’s so clear. So I am so happy to study the Bible. It’s very precise and perfect. We can recognize the true Christ through the words of eternal life. Ahnsahnghong taught us the meaning of the Passover by saying to us, “Whoever eats my flesh and drinks my blood has eternal life.” Through the Passover, Christ Ahnsahnghong gave us the words of eternal life. Therefore, we can be sure that he is our God. I have question for you. What is the relation between so-called the New Covenant Passover and Christ? Do you believe the Passover to be the sign proving Christ? Yes. You correctly understood about Christ and Passover. Christ is God coming as man in the flesh. Even though Jesus was God, it was hard for people to accept that because he came as man. But the disciples knew that Jesus was God and accepted him because they believed the words of eternal life in the Passover. It is the same today. The only way for us know the second coming Christ is through the words of eternal life in the Passover. Passover is the sign of the Savior who come to give us salvation. If you want more, please follow the link below and read the related article. The second coming Christ would fulfill the prophecy of David and bring the eternal covenant, which is the new covenant Passover. (Isa 55:1, Heb 13:20) Now we are keeping the Passover the eternal covenant, God’s promise to David. What does it lmean? It means the Christ came again as David bringing the eternal covenant. Christ Ahnsahnghong also came as High Priest in the Order of Melchizedek and blessed us with the bread and wine of the Passover. Therefore, we can be sure that he is the true Christ who fulfilled all the prophecies of the bible. omg! you believe him as God. plz think and study more. Jesus will give you salvation. Yes, we DO believe that Christ Ahnsahnghong is the Savior. The bible testifies that he is the Christ. Yuki, if you believe in Jesus, then you should believe in Christ Ahnsahnghong as well. He is the second coming Jesus who was to come in the last day. So amazing article. who can believe this right away? let me think of it more. Truly it IS amazing article right? prophecy tells us now is the time to receive the 2nd coming Christ before the last disaster. This article leads us to meet Him at this urgent time. He is gathering his chosen people through the seal of God the Passover. Let us keep the passover and receive salvation. New Covenant is the very key to recognize our true Savior because this is what the Bible says it all. Yes, It is true that Christ Ahnsahnghong is the second coming Christ. When we believe in the Bible absolutely, we can recognize him. @ Cathy Amen~! The Bible teaches us that the one who allows us the banquet of aged wine which is the New Covenant Passover is God Almighty. There is no one that restored the New Covenant Passover except Christ Ahnsahnghong, No doubt that He is Almighty God as written in the Bible. How can you believe the Bible is true? There are so many evidences that prove that the Bible is true in the scientific aspect. So, even scientist believe that the bible is true and fact. I wish you study the Bible further and realize that it is true and God exist. We can find many scientific and historical evidences in the bible through which we can prove that the bible is the book of truth. Hello, Zeromi ! The Bible contains the knowledge of modern science that ppl were not able to even guess in those days when the Bible was written. Do u think that it is possible ? No! Only God who created this world and has given all the theories and the rules to this earth knows all the knowledge So God Himself proves that the word of God in the Bible is so true like this way. The Bible and the savior always go hand in hand. Without the Bible, we can never recognize the savior. So, many Jews and the contemporary religious leaders had not convinced that Jesus is Christ since they didn’t believe in the Bible. In the same way, most of christian are making the same mistake. True. Even though God came again in the flesh to give us life, people don’t recognize him and they reject him. How blessed we are though because God allowed us spiritual eyes to see the truth. God bless u. This is what God had planned. So we have to receive the one who fulfilled the prophecies of the Bible, no matter how hard it is to believe. Considering what he had done, Christ Ahnsahnghong is not a mere man but God Almighty ! The perspective of some churches is different from the point of view in the Bible. When we see the Bible, the flow of history is helpful but the most important things are prophecies and the fulfillment. It’s because the fulfillment and evidence make us know our Savior, God(Deut. 18:18). The Bible says that Christ Ahnsahnghong is our God according to the prophecies and the fulfillment. We have to know the purpose of the bible correctly. The bible was given to us to teach us about the Christ who comes to save us. When we see that Only Christ Ahnsahnghong brought the the new covenant, the Passover which is the sign of the prophetical king David, we can easily understand he is God whom the Bible testifies about. The Passover has amazing secrets in it which God has hidden as gift to the people of God. Amen! It is cuz only prophetical David who appears in rhe last days has authority to restore the New Covenant which disappeared long ago. Since the prophetical David refers to Jesus, the prophetical David that appears in the last days is the Second Coming Christ! Amen! According to the prophecy here, the one who prepares a banquet of “aged wine” in order to swallow up death-eternal life is God Almighty. The banquet of aged wind is the feast of the New Covenant Passover . cuz It is the only feast established by Jesus’ blood forgiving us eternal life! Christ Ahnshanghong is the spiritual David who brought the everlasting covenant of God and who established Zion by restoring the festivals of God including the Passover. Hi! Stephen! Even though some other churches eat the bread and wine, the bread and wine taken at anytime can not become God’s flesh and blood, cuz only the bread and wine taken at twilight on the fourteenth day of the first month(Lev.23:5) has God’s promise and become truly God’s flesh and blood. Once again i am telling u, that is NOT the Passover of the New Covenant! Correct! Even if a pastor speaks with his own authority like, “This bread is Jesus’ body,” it never becomes His body. 2000 years ago, Jesus broke bread several times. Whenever He broke bread, If He had said like“This bread is my body” , then whenever it was broken, the bread would have become the bread of life However, Jesus clearly spoke of the bread He broke in “other days” as “food that spoils”. That’s true. The Passover has its own appointed time and regulations. Most importantly it has the promise of God. In other words, the communion can not have any promise of God and its bread and wine are just food that spoil. Amen! It is not just bread and wine but God’s promise that allow us eternal life. The only the bread and wine that we have on the Passover night (at twilight on the fourteenth day of the first month by the sacred calendar -Lev.23:5) become God’s flesh n blood by the power of God’s word. Do they keep the Passover exactly? How and when they keep it? We have kept the Passover following an exactly way and day in the bible. 2day, i’ve met someone who believe in only Jesus. And he said how do u believe in Ahnsahnghong?. I asked why do you believe in Jesus? answer was that he is God. so, I said that Ahnsahnghong also is God who came for our salvation. I asked could you show the prophecies that Jesus is God? but, he didn’t. i showed the reason why Jesus was God, Savior 2,000 yrs ago n Christ Ahnsahnghong Now with the prophecies explaining abt him. Jn 5:39- The Bible testifies God. Ppl say that i believe in Jesus, but, they have no any idea why he is not the other !! but, WMSCOD could teach you why Christ Ahnsaghong must be!! Amen. We can show hard evidences to prove Christ Ahnsahnghong is God who came as man. Heaven is truly exist and God is also. Thanks to Christ Ahnsahnghong gave me a eternal life and lead us to Heavenly Mother. Amen. Thanks to Elohim God for opening our spiritual eyes and ears to understand the spiritual things and the spiritual world. I want to know more about the kingdom of heaven so I study the Bible. Through it, I can come to know the existence of God who have authority to eternal life and the kingdom of heaven where there is no more death. So amazing and wonderful place!! Truly, it is a place we cannot know through our human knowledge and imagination. I want to go there and see myself. It would be truly wonderful. I wonder what kind of place the kingdom of heaven would be. I am looking forward to going back to heaven. Thanks to Father and Mother for giving hope for the kingdom of heaven. It would be wonderful up there. I cannot imagine how beautiful it would be! Amen. The Bible says “These are the Scriptures that testify about me”(Jn5:39). Therefore how can we find out the second coming Christ through another way! Men’s opinions is not the way to salvation. The Christ Ahn sahnghong who fulfilled all prophecies of the bible is our truly savior in the Holy Spirit age.. If I want to see the stars above heaven I have to use the telescope. Likewise there is only way to receive God. That is, the Bible is the only tool. It was very interesting to me! And I came to study the Bible. hmmm it makes sense. So we can recognize God thru the bible? that’s true. but can we recognize true God exactly by ourselves? If you believe the bible, you should believe the second coming Christ Ahnsahghong. Because he is evidence through the bible. Amen. I give thx to Christ Ahnsahnghong for coming to the earth in the flesh to save us. Oh my God you give thanks to man? He came in the appearance of man. But he is not a mere man. He is God who came as man just as Jesus 2000 years ago. Amen. All the prophecies of the bible testify that Christ Ahnsahnghong is God who came as man. He is the true second coming Christ. I also want to receive God like you. it is hard to accept when I see this article only. more information I need. Hello, Yuki. Do you want to receive the true God? Then please read some more articles of this site. This site provides many amazing prophecies of the second coming Christ. Especially, read the article on “fig tree” then you will understand better about Christ Ahnsahnghong. This article could be a good starting point and follow the links in the article one by one. Then you can know better about the prophecies of the SEcond Coming Christ. Those who have no knowledge about the bible deny Christ Ahnsahnghong. All the prophecies of the bible testify about Christ Ahnsahnghong. I hope you come to World Mission Society Church of God and study the bible!! Then you can realize Christ Ahnsahnghong is our God which the bible testifies. I know the WMSCOG. Sometimes, I came acrodd members of this church. They say, “God has two images. There should exist spiritual father and spiritual mother for salvation of our souls.” They used Genesis. But, I do not believe. Who in the world ever seen his god? No one. Absolutely, no one in the world. That might be true. But think about this. Do you know that God who is invisible gave a visible image in this world to teach us his invisible image. The bible says Adam and Eve were created in the image of God to show us the invisible image of God. Adam took the image of God the Father and Eve the image of God the Mother. And the bible says God created things on this earth as copy and shadow to show us the spiritual things in heaven. Therefore, by looking and studying the visible things on this earth, we can actually understand the invisible and spiritual things in heaven. I agree with you. God is almighty God. God need wife? never! but kind of confusing thing it is. some part it could be. i don’t know. God calls himself “Father,” which implies that there should be “Mother” and “children.” Otherwise, he could have just called him a king or some other titles. Why “Father”? Because he can give life as spiritual Father. But Father in a family never gives life by himself, but through the mother of the children. That is a family, Father, Mother, and children. When we see the history of Eden, because of Adam and Eve’s sin God blocked the way to eternal life, the tree of life. In other words, only God can open the way to eternal life. 2,000 yrs ago, God in the flesh appeared with the Passover the way to eternal life. It means that He is truly our God, Jesus Christ. Likewise in the last days Christ Ahnsahnghong brought the Passover again that was abolished by Satan. So we could understand that He is truly God!! When we study the prophecies and fulfillment in the Bible, we can clearly say that Christ Ahnsahnghong is the second coming Jesus according to the records of God. Our ability is limited. How can people conclude that God does not exist? Through the prophecies i the book of Daniel or the prophecies in the Old testament about Jesus, we can realize that God surely exits and Christ ahnsanghong is truely our God. Ayako, then, how could u conclude that God exists? Ever seen God? Or, heard his voices? Or, received his message for you? The bible is just a book written by people. There’s no god at all. Consider the meaning of this verse. The bible was written by men, but those men received messages from God. It is not their opinion. Therefore, the true writer of the bible is God himself. God used man as writing tool just as we use a pencil when we write a letter. We cannot say that the letter was written by a pen, but me. It is the with the bible. Then, Barrett, how could you conclude that your soul exists? Ever seen your soul with your own eyes? Or, ever seen the image of your souls? However, you will say that your soul exists! Plz, do NOT distort the truths against God Almighty! Without depending on the bible, we can never know the spiritual world. Thanks to God for giving us the bible for us. Look at the night sky. Do you think all the stars came into existence without any creator? If you look at the model of the earth coarsely made and sold in a market in a cheap price, you automatically know that it was made by someone. Then what about the earth which is much more complicated than the globe model? Do you think it came from nothing? There surely is God who created everything. Look around you and even look at yourself. Barrett, we cannot judge correctly by what we see and hear. What we perceive through the sensory organs is too much limited to know anything sure. Therefore, we should not be deceived by our five senses. Just because we cannot perceive with our senses, it does not mean nothing exists beyond the world we experience. There are so many things that exist outside our perception with senses. The spiritual world is the same. And the only way to know the world is through the prophecies of the bible. The bible records God who once appeared as man in the flesh. He lived among us under the same sky, eating the same food. He taught us many things and all his teaching are recorded in the bible. Through the bible we can see God, meet God, be taught by God. Isn’t it right? If people read the bible, they can’t deny him. Amen. Nobody can deny the fact that Christ Ahnsahnghong is the second coming Christ. Father Christ Ahnsahnghong. Thanks for giving us salvation. You are truly Almighty God that the Bible testifies about. No everyone is allowed to call Him ‘Father Ahnsahnghong!” He allowed me to call Him “My Father, Christ Ahnsahnghong!” through the blessing of the Passover of the new covenant! Amen! Thanks to Father and Mother for allowing us to be their children through the bread and wine of the Passover. Since we received the flesh and blood of God through the Passover, we can call God as our Father and Mother. And we can be called the children of God. Amen! Thanks to Father and Mother for their love and sacrifice. Amen! I also give thanks and praise to Father and Mother who are my spiritual parents. I cannot believe so many people believe him as God. How come do they have those beliefs? Through the new covenant Passover, we receive the flesh and blood of our spiritual Parents and we can be the children of God. Every Christians says that they believe in Christ Jesus but they don’t know the truth of life, new covenant that Jesus established. So Christ Ahnsahnghong, second coming Christ came to the earth again to restore the new covenant and give us true belief. I felt hard to accept him. But as I asked to myself if I truly believed the Bible, I came to accept Christ Ahnsahnghong whom the Bible exactly testifies about. Yes. the answer is in the Bible. God’s people listen His voice. Right! True people of God can not deny the bible. In other words, if all the evidences of the bible indicte that Ahnsahnghong is our savior, they have no choice but to believe Him. Absolutely! It’s because only the Bible is the way to recognize God the Savior(Jn 5:39). The Bible clearly testifies about the Savior, Christ Ahnsahnghong who came in the flesh for our salvation with the way to eternal life. How about studying the prophecies in the Bible? Amen. We can find the answer through the bible. You are right. 2000 years ago, it was hard for the people to accept Jesus as God. But those who believed in the bible could get rid of their thoughts and opinions and say that Jesus is God who came down to us to give us salvation. We must have the same mind as the disciples of Jesus. The bible testifies that Christ Ahnsahnghong is God who came as man. Then we must get rid of our doubt and accept him as God. Yes!! When we think of the case 2,000 yrs ago, we could receive our God according to the Bible. Amen! All the prophecies of the bible say that Ahnsahnghong is the true Christ. In what Book of the bible is Ahnsahnghong testified as Christ? Jessica, Jesus said that the bible testifies about him. However, nowhere in the Old Testament could we find the name Jesus directly prophesied as Savior. But the Old Testament tells many prophecies of the coming of Christ: coming as son, King David, Melchizedek, Prophet like Moses, etc… All the prophecies were fulfilled by Jesus. It is the same with Christ Ahnsahnghong. His name is not directly recorded in the bible. But the prophecies and fulfillments shows that he is the true Christ. I hope that you come to know him better. Amen! If they truly believe in Jesus, they must also know the New Covenant that Jesus established for our salvation.But no churches but the Church of God follows the New Covenant in the world. Is that so? What is the New Covenant? If the new covenant is so important, why are there not many churches keeping it? It sounds weird that the new covenant is kept only in the church of God even though it is so important. People are not blind. They know also what is important, not just you. Hi, Christopher, thanks for asking. The New Covenant is so important of course. Bcz Only those who put the new covenant in their minds and practice it are truly God’s ppl and God will surely save them. This prophecy was fulfilled by Jesus. Jesus established the New Covenant. The New Covenant is the gospel of kingdom that Jesus set an example for us to do it. All these are the feasts of the New Covenant and Jesus declared the “New Covenant” by His celebrating the Passover. Jesus said that the New Covenant, gospel of the kingdom would be preached in the whole world until the end of the world. Which means that we must keep the New Covenant even now. However,now many ppl don’t know celebrate the feasts of the New Covenant bcz they don’t know exactly what the New Covenant is like you. The feasts of the New Covenant had been abolished by Roman Catholic in A.D. 325 and disappeared for almost 1600 yrs until Christ Ahnsahnghong rebuilt all the feasts of New Covenant. If u study the prophecies of the Bible diligently, all your questions that u have now will be answered. So plz do not hesitate to visit our church. Thanks for listening. God Bless U.
Satan made us blinded by covering our spiritual eyes with the falsehood and that is why we cannot see the truth. Now we should open our eyes and look around. Christmas, Easter, Halloween, Thanks-giving, all sounds nice. But are they coming from the bible? They are just man’s tradition, not God’s commands. What did Christ say about people who follow man’s teaching? 9 And he continued, “You have a fine way of setting aside the commands of God in order to observe[c] your own traditions! Absolutely! Those who received Jesus as God truly must follow the New Covenant Passover according to the example of Jesus Christ. It means that the church of God believes in God truly according to the Bible. Logically, the true church should be the one which has truth in it and the truth can be found in the bible. The bible teaches the truth of salvation through the Passover. Jesus said, “Whoever eats my flesh and drinks my blood has eternal life.” Therefore, the true church must have the truth of life the Passover in it. It is the church of God. The Passover restored by Ahnsahnghong? What’s the new covenant? What’s the relation between Ahnsahnghong and the new covenant? My parents sometimes spoke the name Ahnsahnghong, but never heard the new covenant from them. Is it in the Bible?? According to Prophet Jeremiah, God said that he would establish a new covenant with his people. To fulfill this prophecy Jesus came and established the new covenant. (Luke 22:19) Therefore, Jesus was God himself even though he appeared as man. In the same way, the new covenant was abolished by the work of devil and Christ Ahnsahnghong re-established or restored the new covenant. Then who is he? He must be God because it is only God who can established the new covenant. Hi, Santiago. The New Covenant is the gospel of kingdom of heaven that Jesus taught for the salvation of our souls. New Covenant = Gospel of Kingdom of Heaven. So, apostle Paul testified that he was a servant of the gospel in Col 1:23 and that he was a minister of a New Covenant in 2 Cor. 3:6 . As u know, apostle Paul followed the example of Christ (1 Cor. 11:1) and Jesus declared ” New Covenant” by keeping the feast of Passover. So we must follow the feasts of the New Covenant like the feast of Passover, Sabbath, Pentecost, tabernacle ….as Jesus set examples for our salvation. We can find a record of the new covenant in many places in the Bible. We may not keep God’s law, but we can never change the Bible. Amen! What is the gospel of the kingdom preached by Jesus? It is the New Covenant feasts by which we can go to kingdom of heaven. I am a minister of the New Covenant, gospel of the kingdom like apostle Paul! Santiago, Christ and the new covenant are inseparable. The sign of Christ is the new covenant. Through the new covenant we can recognize the Christ. Therefore, Christ Ahnsahnghong who restored the new covenant is God himself who came to us as man. It’s amazing to know 2nd coming christ’ name we are so blesse! Yes, we are. Thanks to Father and Mother. I totally agree with you!! If people believe in Jesus, they must believe all the words of Jesus Christ. But they didn’t know even the Passover which is famous as ‘the Last Supper’. It means that they just say their belief with their lips but not with their minds. For us, Christ come a second time. He is Christ Ahnsahnghong who brought the sign of God, the Passover. The bible says that faith without action is dead. Even though it is recorded so clearly, people deny the fact and says they can be saved only by faith. It is a pity to see. Amen. The Passover is the truth of life we must keep to receive eternal life. I give all thanks and honor to Father Ahnsahnghong and Heavenly Mother. It is so amazing to meet God who came as man in the flesh. I will follow him to the end. Amen. I will follow him too. Christ Ahnsahnghong restored the Passover. He is our Savior. Yes, Those who receive God who came as man are blessed in this age. Being able to recognize God is a great blessing! We can realize Christ Ahnsahnghong in the Bible. We don’t have blind belief. He is our savior. Amen. When someone’s faith is not grounded on anything, we can say that they have blind faith. However, our faith in Christ Ahnsahnghong can be proven through many evidences of the bible. Then how can our faith be called blind? Our faith is true. Right! The faith comes from listening the words of God. Without studying the Bible, there is just blind faith. For our salvation we need true faith through the words of God. So our faith is true! Amen. We have know the words of God through the bible and keep them. Then we can say that we have faith in God. Christ Ahnsahnghong came to the earth according to the prophecy of the Bible. Right! Christ Ahnsahnghong is our savior! We have to believe him and keep his saying! Surely, Christ Ahnsahnghong is the Savior in this time. All prophecies in the Bible were fulfilled by Him. Amen. Come to Zion and Meet God Ahnsahnghong and Heavenly Mother. Did he come to the earth? from where? for what? Can you explain all through the Bible? “I am the living bread that came down from heaven.” “I have come that they may have life.” Christ has come again to give us life. Amen! We are so lucky. I’m a weak and humble person, but I’m very happy. the reason is because I met the true God. When you feel you are lucky in the church? When we realize God the Father and God the Mother through the prophecies of the bible. We become overwhelmed. Thanks to Christ Ahnsahnghong who has come to this earth according to all the prophecies of the Bible to let us realize the invisible world and lead us to the kingdom of Heaven! It is such an amazing experience to know the fulfillment of the prophecies. We have no choice but to believe in Christ Ahnsahnghong. I once did not know what the prophecies were. Now I know and believe everything in it. Thanks to God. Father Ahnsahnghong has taught every secrets in the Bible for our salvation. I can not have any doubts in it. I have received so great love of God. Exactly. Once I was blind and did not know the way to heaven, now after studying the words of God in the bible, I came to realize the love of God Elohim for the children who came and taught all the mysteries of the bible so that we can receive salvation. Eternal Thanks to Father Ahnsahnghong and Heavenly Mother New Jerusalem. Amen! Christ Ahnsahnghong is truly our Heavenly Father and He opened the gate of salvation for His children through His sacrifice! The books of truth Father wrote are amazing. While reading the green book, I could understand how Father eagerly wanted to teach us the truth of God the Mother who is the true source of the water of life. I feel sad that there are still people who do not believe and accept the Heavenly Mother. I also have no doubt. I already confirmed that Christ Ahnsahnghong has fulfilled all prophecy of the Bible. There are many secrets in the Bible. Christ Jesus explained all the things hidden from the creation(Mt.13:34). It’s because He is truly God. Likewise only God who is the writer can open the Bible. God Ahnsahnghong did. He restored the Passover which only God can bring as the sign of God. It’s very clear!! Now, the WMSCOG is keeping the Passover of the new covenant restored by Christ Ahnsahnghong. He did everything for the salvation of our souls during 37 years. It’s great blessing to be a member of the WMSCOG established by Christ Ahnsahnghong. No one will get his goal of being saved without keeping this Passover of the new covenant! Alright. Christ Ahnsahnghong done too many things n sacrifice for our soul. He sacrificed himself another 37 years for us sinners. Let us give thanks to him. No. The bible is the only way to recognize the true Christ. 2000 years ago, Jesus even went thourgh the pain and death on the cross only to fulfill the prophecies of the bible. By fulfilling all the prophecies of the bible, he wanted to teach people that he is the Christ testified in the bible. The Second Coming Christ Ahnsahnghong also fulfilled all the prophecies of the bible to teach us that he is the true Christ testified in the bible. It is wrong to try to know the Christ through miracles and wonders. Those are not the signs of Christ. That is true. Physically there would be no way to distinguish the one from the other. Jesus was a good example. No one recognized him as God by looking at the outward appearance. Nobody recognized the identity of Jesus through the physical appearances of him. Only those who knew the prophecies of the bible accepted him and followed him. Amen. I agree with you, Stacy. You are right. There is no way to be saved without him. Amen. We are just sinners destined to die. Through the Passover Christ set us free from the slavery of sin and death. I give thanks to Father Ahnsahnghong and Heavenly Mother. Amen. We were once truly sinners living under the slavery of sin and death. But Christ Ahnsahnghong and Heavenly Mother have forgiven our sins through their flesh and blood. Thanks to Elohim God. Really thanks to our Elohim God for opening my eyes spiritualy so that i could recognize them through the prophecies of the bible. Yes, we are so blessed to know the mysteries of the Bible. It is a great feeling that i became a child of God Elohim. Amen. How blessed we are even though we are unworthy sinners!! We do not deserve the blessings we are receiving from God. According to the Prophecy of the Bible, Second Coming Christ Ahnsahnghong has come in the flesh and restored the Passover of the new covenant for our salvation. What prophecies of the bible are you talking about? Louis. The Bible prophesies that Second Coming Christ will come in the flesh to give us salvation. And He re-established the new covenant Passover to give us eternal life. If you study the Bible, you can be known the prophecies of the Second Coming Christ. Louis, read some of the articles of the site. Then you will understand who Christ Ahnsahnghong is. Even though he cames as man, but he is God himself who came as man in the flesh. Thank you Father and Mother for the great love <3 We give you eternal praise and glory for everything our Elohim God. If father didn't come as Christ there's no way for us to return to the Kingdom of Heaven. The secrets are now disclosed to the saints. Now it's our mission to make mother the praise of the whole world~! Preisely. God gave us the noble mission of preaching the gospel for our blessing even though we are not worthy. Amen! Let us shine the light of glory of Heavenly Mother to the whole world! To preach is God’s present for us. Angels always envy us who can preach. Amen! We are truly blessed to do the work of God. I want to complete the mission God gave me. The living way to heavenly home was opend and allowed only when God the Father had sacrificed Himself in preaching the gospel of the new covenant. He did everything for the salvation of our souls. Father worked the thorny path only for the sake of his children. Now let us repay Father and Mother by preaching the gospel to the people of the world. Let us preach who love us to the point of death n who can save us ! The Spirit n the Bride have already come in the flesh to this world in order to save us! Come to the Spirit and the Bride for the water of eternal life. Amen! Unless we know the prophecy of the Bible, we can’t know the savior who gives us salvation either. Then, our hope for heave becomes just a dream….So we must know Christ Ahnsahnghong, the savior of this age thru the prophecy of the Bible. Yes!! If we use the tool for seeing, we could see and know things which we couldn’t see with our own eyes. The kingdom of heaven is invisible world but everyone wants to go there. For going there, we who can us the tool may use the Bible. It’s the only way. You are right. The bible is a book that teaches us about the invisible spiritual world so that we can have faith in the words of God. Thanks to God for giving us the bible and spiritual eyes to understand the bible. Christ Ahnsahnghong must be the Savior who will save us into eternal world! Yes, he is our Savior prophesied in the bible. Yes, it is not easy to accept but it’s real. God the Father Ahnsahnghong according to the trinity brought the Passover. It’s the sign of God. Amen. I agree with you. Who can give Christ’s flesh and blood to us for our salvation? Since it is Christ flesh and blood, the only one who can give us is Christ himself. Therefore, through the Passover, we can know who Ahnsahnghong is who brought the Passover to us. He must be none other than Christ himself who appeared for the second time for our salvation. We need to study the bible exactly because there is the second coming Christ. Exactly. Not many people have correct understanding of the bible. They interpret the bible in their own ways. However, now we should have correct knowledge of the bible for our salvation. If you believe in the words of God in the bible, you cannot deny that Christ Ahnsahnghong is the true second coming Christ. Yes! I didn’t have the true faith of God before I study the Bible in the Church of God. But, after I do it, I can the faith of God n the bible, and then I can believe in Christ Ahnsahnghong who let us know these teachings for the first time. Let’s thank to Christ Ahnsahnghong who is Second coming Jesus. His coming is salvation to mankind. I give thanks to Father Ahnsahnghong and Heavenly Mother New Jerusalem. Why did Jesus come second time on the earth where he had crucified? Because mankind lost the truth of the new covenant giving life and Jesus loves us so much to recover it. Don’t refuse coming of Jesus and Jesus’ new name Ahnsahnghong. Christ has appeared for the second time in the name of Christ Ahnsahnghong. Let us receive Christ Ahnsahnghong and Heaven Mother New Jerusalem and receive salvation. Regardless whether we believe the bible or not, all the words in the bible are true. Therefore, if Christ Ahnsahnghong fulfilled all the prophecies about the 2nd coming Christ, then He is the Savior in this age no matter what people say. Amen! If we do not try to see the Bible, we will never realize the Savior. First we will have to see and believe the Bible. Amen. Christ Ahnsahnghong is the true Savior in the Age of the Holy Spirit. Let us give praise to him. I feel sorry when I see people who deny Christ Ahnsahnghong without studying the prophecies of the bible. And I also give thanks to God for opening my spiritual eyes and ears to understand the prophecies of the bible. I was once like the people of the world who denied the bible and Christ. I am sure that Christ Ahnsahnghong is God who the true Savior in this age ! Those who trust the Bible can realize that Christ Ahnsahnghong is the Savior of this age since the Bible testifies about Him. So many people here are talking about Christ Ahnsahnghong, but still I cannot understand why you guys think he is the Christ. Is there anybody who can explain to me? Look around some of the prophecies and judge yourself if what is written is true or not. If it is not true, you can leave. If it is true, however, you have to follow the words and believe in Christ Ahnsahnghong. Me too. Through the fulfillment of the prophecies of the bible, I have come to be sure that Christ Ahnsahnghong is the true Christ. And I have no doubt. I have no doubt about that either. According to many prophecies in the Bible, Christ Ahnsahnghong came to the earth second time. And he gave us salvation through the Passover. Christ Ahnsahnghong is truly God! Now, I’m so happy to be born as a heavenly child when I received Christ Ahnsahnghong in Zion. I hope to be faithful to Christ Ahnsahnghong wherever He leads me. The disciples of Jesus witnessed to Jesus through the prophecies of the bible. Likewise, the same prophecies of the bible witnessed to Christ Ahnsahnghong who came for the second time to save us. I agree on the limitation of the human perception. And I also agree on the conclusion that we cannot perceive the truth. Human understanding is based on the perception through the five senses and those perception cannot be absolute and true. Therefore the understanding based on the imperfect perception cannot be perfect at all. The bible is the book of truth given by God who is the only perfect being. And to understand the bible we need more than just sensory perception. We need spiritual eyes and ears. Then how? The bible teaches that that those who are baptized will be given the Spirit of God and with the Holy Spirit they can have the spiritual eyes and ears. And they can understand the spiritual truth. Now we have to seek God with a humble mind and God will grant us the spirit of wisdom and understanding to know the mysteries of the bible. Let us give glory to Father Ahnsahnghong and Heavenly Mother New Jerusalem! I think it is so foolish that we judge the spiritual matters through the human perception which has the limitation. We must find out our savior thru the eyes of the prophecy of the Bible which is the only book God has given us. Miracles or wonders cannot be the sign of Christ. Christ can only be known through the prophecies of the bible. All wisdom of salvation come from God. The way to heaven will be opened only when we trust the Bible, the words of God. Apart from the Bible, no one will recognize Christ Ahnsahnghong and God the Mother at all. Wisdom of salvation? Do u mean salvation to live forever in so called heaven? Inadmissible! I know king David who believed in God. But, he killed so many people who possessed the same goal in their life. He wanted to be saved while killing other people. Christ Jesus said in this way! What’s your opinion on Jesus???????????? If you read the bible, there were many wars in the bible. Then just because of those wars, would you dismiss the bible thinking that it is not a book for salvation? You should not do that. First, you have to understand why God recorded so many wars in the bible and what God wanted to teach us through the wars. Through the wars, God wanted to teach us lesson we have to have to get prepared for the spiritual wars. David, Gideon, Joshua–all of them depended on God during those wars. In the same way, we have to depend on God in the spiritual war, rather than trusting in our own abilities. Also there are many other lessons we can learn from the wars in the bible. Everhthing-even wars-are given to us for our salvation. I hope you would find the will of God in the bible. God bless you. Barrett, you should not despise what you don’t know about. Or you will regret at the time of reckoning. Amen. Thanks to Elohim God. Amen. No man can see everything with their eyes; neither can they hear with their ears. And they cannot know everything because of their cognitive limitation. But the bible is the book given by God who is omniscient and through the bible he give us perfect wisdom and knowledge for our salvation. Amen. the bible is the manual for our salvation given by God our Savior. I believe and believe. I thank to God for giving me faith. Amen. How blessed we are! The best way to know God is through the Bible. Absolutely. Jesus said that the scripture or the bible is the book that testifies about him. The Bible testifies about God the Savior who would appear ss man. And the prophecies of the second coming Christ got fulfilled by Christ Ahnsahnghong. That is why Christ Ahnsahnghong is God the Savior who appeared as man for the second time. Right Without Bible, We can know nothing about God. True. If he is standing next to you, you will not know. A person can’t insist his thought is surely correct. It is the same with God. We can find out the true Christ through the bible if you have no fixed idea. Man was never meant to be perfect even from the beginning. Jesus said God is working to make perfect man who is imperfect. That is the true creation work of God. That’s why God gave us the Bible. Through the Bible, we can understand who is our Savior. Yes, we need to accept the Bible without fixed idea. Amen. God gives us all the spiritual wisdom for our salvation through the bible. Yes. Only the bible is way to realize God and go back to heaven. There are all of the answer in the Bible. Absolutely there is a reason that Church of God grows up as days go by. Right! there are no problem if we follow the bible without doubt. Yes, but many people study the bible with their fixed thoughts. I wish they look at the bible as it is. Yes, we can find all the answers for our salvation through the words of God in the bible. Right. It is truly amazing to see the growth of the churches of God all throughout the world. Now, we can see the fulfillment of all the prophecies of the bible with our own eyes. We know that only those who believed the prophecies of the Bible firmly were saved 2,000 years ago. Like this, we can be saved only thru realizing the Second Coming Christ proven in the Bible. That’s true. We should follow the examples of disciples 2000 years who accepted Jesus believing the words of God even though he appeared as man in the flesh. I also find more about the prophecies of the bible. I need to study more and more. Yes, we are truly blessed because we met God while we are living. To be born in the flesh is a blessing; to be born at this moment is a bigger on; to meet God is the ultimate one. God and truth can be found in the Bible. I wish prejudice doesn’t cover their eyes. That is really important. But it is also true that it is not easy for us to get rid of the prejudice. That is possible only through the grace of God. I can believe in Jesus as Savior, for Bible testifies him through many prophecies. Likewise, I can also believe in The Second Coming Christ who was testified in Bible. If we do not receive our Savior because of our prejudice, What a pity! I agree with you. First we have to get rid of our own thought when we study the bible. When I study the bible, I could not understand what the members of the church of God taught because of the prejuidice. Sometimes it took a long time for me to understand certain concept they were teaching such as image of God. They said God had two images, Father and Mother. And I said God had three images, Father, Son, and Holy Spirit. Now I can clearly see God the Mother testified in the bible. Thanks to Father and Mother. we can only the find savior through the bible! Christ Ahnsahnghong revealed to us all the secrets of the bible so that we can have true faith in the words of God. Let us give thanks and glory to Father Ahnsahnghong and Heavenly Mother New Jerusalem. Yes, only through the prophecies of the bible. There are so many people who want to give salvation, but they do not know the way of redeem that God let us follow. Regrettful, Most christion walk belif’s path not the bible but Man’s teachings. The bible says, “In him we have redemption through his blood, the forgiveness of sins, in accordance with the riches of God’s grace.” Through the blood of Christ we can have the redemption, the forgiveness of sins. Then what is the blood of Christ that gives us the forgiveness of sins. It is the Passover. That is why the bible teaches us to be humble all the time. Only the humble can lower themselves and listen what others say. We should first let go our own thoughts and opinions which hinder us from understanding the true meaning of the bible. The most common one is the interpretation of the bride. Many people says that the bride is church ignoring the fact that a word in the bible has multiple meanings according to the context. They just insist the bride is the church in all the cases of the word in the bible, which is wrong. I’m a lucky girl. It is because I met God as evidenced by the Bible. Thanks to Christ Ahnsahnghong for gave me a eternal life! Amen. We are so lucky to meet God who came in the flesh. How do i know the existence of God? How I believe in Jesus as God? Above all how do I believe the Bible? Truly, want to do so? Then, you need to learn what the Bible says with open mind. If NOT, nothing will hapen to you. To know the existence of God and believe in Jesus as God, you have to try to know first with open mind. now, it’s a time to begin to learn about above things. Jane, look around you and even look at yourself. Could you exist by chance? How about all the creatures? or all the stars in the universe? or the solar system? Can these exist by itself? Everything testifies that there is a creator who made all these things according to the principles. Then who would this be? How can we find him? Only through the prophecies of the bible. Jane, please study some of the prophecies of the bible. Then you will certainly believe that the bible is the book of truth. When I was young, the Bible was a boring book for me. Since I found out that the Bible was a book testifies about God, I want to know more about the Bible. The same with me! I could not read the Bible so long because I just found words and phrases in it. Of course, now, I believe that the Bible is a treasure house for heaven’s kingdom. Same here. When I realize the truth of the bible, it was more delicious than honey. I wanted to eat more and more. Thanks to Father and Mother. right. it’s boring first time to me, too. but I also come to learn I need to know about God in the bible. Why did God come to this earth in person, not sending angels? Why should we be called as sinners? I don’t know and Why do I need to meet another God now? That is true. We have to know the purpose of the book before we read. And next we have to figure out how to read the book. I also come to know the true reason why I should read the bible. Thanks to Father and Mother. Now, the 2nd Coming Christ has already come for the salvation of our souls. However, no one can recognize Him with common sense at all. Salvation is to be allowed only to those who receive Him as the Savior. ‘Christ’ is God’s mystery hidden in the Bible. Before His coming in the flesh, no one knows the time and the place. We come to recognize Him only when He comes to us with the words of the Bible. Christ Ahnsahnghong must be God in the flesh. However, not everyone will receive Him as the 2nd coming Christ. Yes, Christ is God’s hidden mystery in the Bible. So, not everyone will recognize and receive Him even though He appear according to the Bible. When we are humble fore the Bible, then, He will show Himself! God’s hidden mystery in the Bible? What is more, it is Christ? Eins, then, does the Bible also contains something concerning ‘God the Mother’? Is she also hidden mystery? My parents are members of the WMSCOG and believe in Ahnsahnghong as the 2nd coming Jesus. I wonder. Santiago, the mystery of the bible is the Christ or God coming as man to give us salvation. According to the bible the last mystery of God is God the Mother appearing in the flesh in the last days to give us salvation. What could be more important than this? I am so blessed to know and receive Christ who came for us to this earth. If we don’t see the Bible, we never know who Christ is. It is because Christ came to this earth to save us as man. So we must find and meet Christ by seeing the Bible. Without the bible, it is impossible to believe in the second coming Christ. Christ can be found only through the prophecies of the bible. Absolutely. The prophecies of the bible are amazing! The only the way to the Kingdom of Heaven is looking into the Bible.then, we can realize invisible world and Second Coming Christ, God Ahnsahnghong. The bible is a guide book God gave us for our salvation. The Bible says that God will appear in the flesh to save us. This means that we all have to recognize the 2nd Coming Christ for eternal salvation. I’ve learned that the Bible leads us to Christ Ahnsahnghong! There are so many prophecies of the Christ and Christ Ahnsahnghong fulfilled all the prophecies of the bible. He is the second coming Christ we have to meet in our time. The bible leads us Christ Who? Who is he? do you know the meaning of ‘Christ’? you mean He is our God? hhmmmmmm. let’s see … more information needs. Yuki, Christ means the Anointed One who comes to be anointed to be a king, highpreist, and prophet. That means the Christ who would fulfill the prophecies of King David, Highpriest like Melchizedek, and Prophet like Moses. Who is the David we must seek in the last days for the blessings? It is Christ who comes in the last days. The bible testifies about the Savior who would appear in the last days. God’s people in this last day must know and receive the Second Coming Jesus who would appear according to the prophecies of the bible. We have to look carefully into the prophecies of the bible. For they are God’s message for us. Right! The bible is all about Christ to save us. So if we want to be saved we should receive the Christ with the bible. Just as those who believed in Jesus could be saved in the age of the Son, only the people who believe in the Second Coming Christ Ahnsahnghong will be saved in this age of the Holy Spirit. Amen. According to the bible, the Spirit and the Bride give the water of life, eternal life in the last day. Unfortunately, many people, even Christians, don’t know the core doctrine of Christianity is to believe that God came as a man to save us. I hope the more people can realize this fact through the bible and receive the Second Coming Christ Ahnsahnghong. A few days ago, I’ve learned the parable of the fig tree. Who know God’s 2nd coming to the earth? No more explanations about His 2nd coming in the flesh. It’s perfect. A few weeks ago, Talsk? God bless you! You must be blessed by God to realize the parable of the fig tree. This prophecy was fulfilled to let us know God’s 2nd coming to the earth. Truly, perfrct! The prophecies of the bible are absolute and I have no doubt about them. We should open our eyes and ears and mind. Yes, it is a pity to see Christians celebrating Christmas as the birth of Christ without knowing they are unknowingly disobeying the words of God. Many Christians insist that we just believe in God and can be saved. But, the real necessity of the bible is to testify and prove the true Christ―God coming in the flesh(John 5:39). And the bible teaches us that Christ will come to the earth a second time. So if there’s someone wants to claim Ahnsahnhong, you’d rather study all the prophecies about the Second Coming Christ with the bible. I believe that salvation comes to us only when we recognize God in the flesh. This is wht all Christians are waiting for the 2nd coming Christ. That’s right. Having faith in God coming in the flesh is the core doctrine of Christianity. It is pity that even so-called Christians do not know the prophecies of the bible and reject the second coming Chirst Ahnsahnghong who came as man in the flesh. That is true. Christians means those who have faith in Christ or God who appeared as man in the flesh. Today, there are many Christians who say that God cannot come as man in the flesh like one of us. It is nonsense. 2nd coming is on the last day as I’ve learned. I also wanna see Him eagerly. When God come again in FLESH? I had the same sttitude about heaven’s kingdom. Of courase, we have to believe in God for eternal salvation. However, look around you! So many churches and Christians, who insist that they are truly God’s people. Then, who in the world is wrong? Was Abraham right, who believed in Jehovah? Or, Peter, who followed Jesus? They were all saved! At the same time, Abraham never depend on the name ‘Jesus’. I found that in this age, Christ has came a 2nd time. The parable of the fig tree is so perfect. I’m learning more about ‘Ahnsahnghong’. It’s so amazing. God divided His work of salvation into three ages and we are living in the last age, the Age of the Holy Spirit. God Ahnsahnghong appeared to us as Savior in our time and giving us salvation through the new covenant Passover. Oh, oooops. You believe He is Jehovah? God hid his glory with the cloud of body and appeared to us in the name of Christ Ahnsahnghong. He is our God and Savior. The Bible is the Guidebook let us lead to the heavenly Kingdom. If you follow the all scripture, you can finally enter the heaven. Yes, you are right. We must follow the Bible absolutely. Yes, it is like a navigation giving us the right direction to follow to meet God and to receive salvation. Yes, I agree with you. we can finally enter the heaven if we follow the all scriptures. but how can we follow the all scriptures and how to know the real meanings of the scriptures? It’s very important problem before studying the Bible. To those who read the Bible for the first time, it seems to be so thick and boring. They cannot agree that the Bible is essential for being saved. It was the same with me. A few weeks ago, I found this fact. Truly, the Bible contains prophecies to be filfilled. It was so exciting! The more I study prophecies, the more I’m sure that the Bible is truly from God. Congratulations, Talsk! Elohim God’s blessing came to you! The knowledge of the Savior will help you take more steps toward the kingdom of heaven! Truth changes everything about the bible. Without knowing the truth, the bible seems no that interesting. However, once you know the truth, you cannot let the bible go. You are obsessed to keep reading the bible. It is more interesting than anything else. Dave, the bible says that only God can reveal the truth of the bible. That is why we have to wait for the second coming Christ because he is the only one who can open the bible and let us know the secrets hidden in the bible. We need a teacher who can teach the real meanings of the bible. Who can does teach it correctly? It is only God who made it. So God have to come to the earth in the flesh for the children of God because we cannot see God and listen His voice. So the prophet Micah said like this. (Micah 4:1-2) In the last days the mountain of the LORD’s temple will be established as chief among the mountains; it will be raised above the hills, and peoples will stream to it. Many nations will come and say, ‘Come, let us go up to the mountain of the LORD, to the house of the God of Jacob. He will teach us his ways, so that we may walk in his paths.’ The law will go out from Zion, the word of the LORD from Jerusalem. Here, he said that God will teach us his ways, so that we may walk in his paths. In other words, God will come to the earth like First Coming Jesus done. He comes to teach us the truth that would have been abolished by the work of Satan and restore the truth in the last day. Then, who is God who came in the flesh in this ages? To begin with conclusion, He is Christ Ahnsahnghong. You can realize about this through reading many articles in this website or visiting to the World Mission Society Church of God.